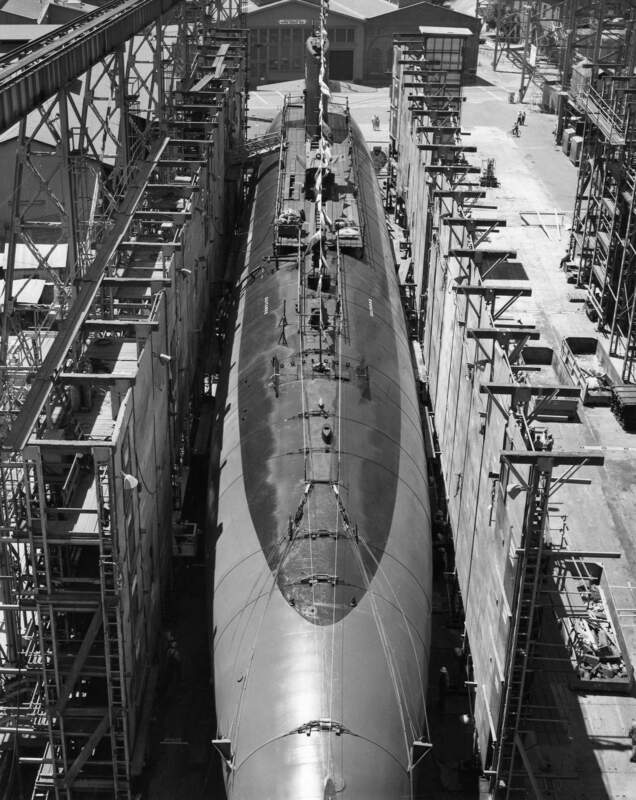 Sturgeon Class Attack Submarine: Laid down, 9 December 1965, at Mare Island Naval Shipyard, Vallejo, CA. 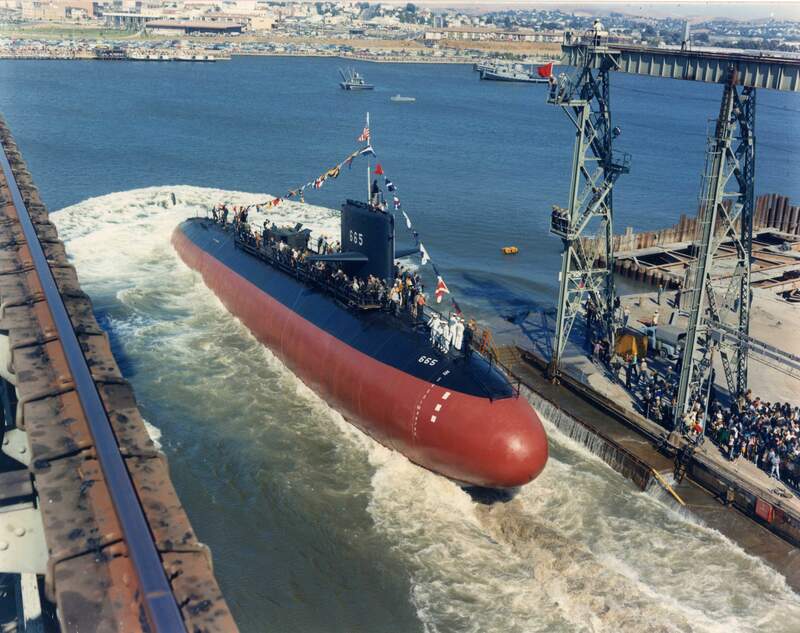 ; Launched, 27 July 1968; Commissioned, USS Guitarro (SSN-665), 9 September 1972; Decommissioned and simultaneously struck from the Naval Register, 29 May 1992; Final Disposition, disposed of through the NPSSRP (Nuclear Powered Ship and Submarine Recycling Program) at Puget Sound Naval Shipyard, Bremerton, WA., 18 October 1994. 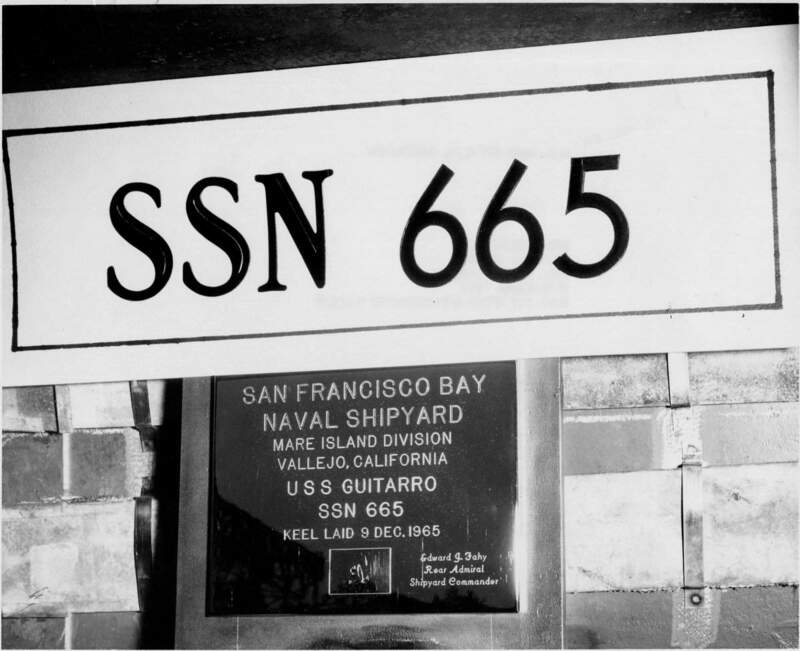 52k Commemorative post mark on the occasion of the keel laying ceremony of the Guitarro (SSN-665), 9 December 1965, at Mare Island Naval Shipyard, Vallejo, CA. Courtesy of Jim Richardson. 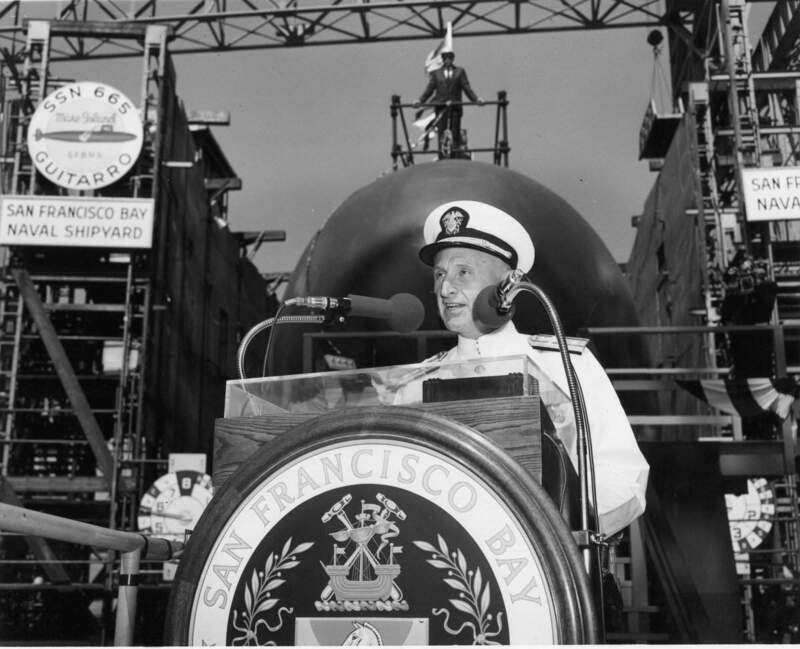 126k Chaplain CDR Benoit Galland opens the keel laying ceremony for the Guitarro (SSN-665) at Mare Island on 9 December 1965. 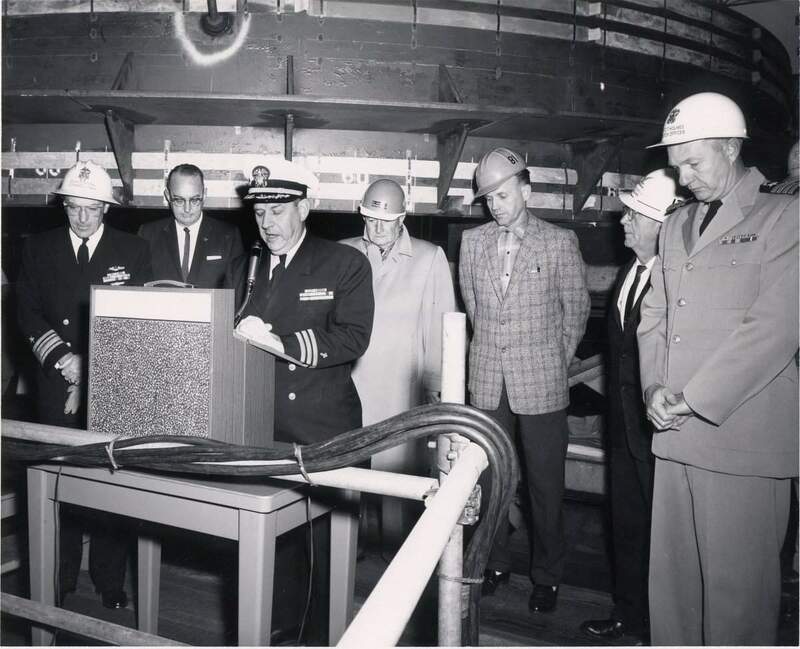 Pictured from left to right: RADM Edward J. Fahy, USN, Shipyard Commander; Lou Burgeline, Head of Plant Equipment (Honorary Keel Layer), CDR Benoit Galland, CHC, USN; Ed Weber, Inspector of Ship Mechanical Systems (Honorary Keel Layer); Walter Sobotor, President of Mare Island Metal Trades Council (Honorary Keel Layer); Howard Powell, Master of Sheetmetal Shop (Honorary Keel Layer); Capt. D. T. Holmer, USN, Shipyard Production Officer. USN photo # MSA-70871-12/65, courtesy of Darryl L. Baker. 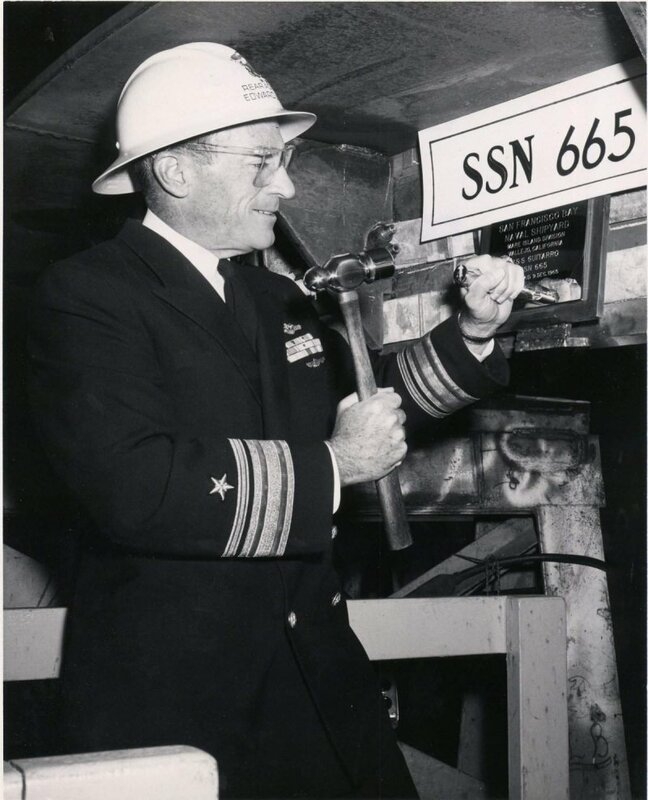 144k RADM Edward J. Fahy, USN, Shipyard Commander authenticates the keel of the Guitarro (SSN-665) at Mare Island on 9 December 1965. USN photo # MSA-70874-12/65, courtesy of Darryl L. Baker. 107k The Keel plaque of the Guitarro (SSN-665), dated 12/9/1965. USN photo # MSA-70875-12-65, courtesy of Darryl L. Baker. 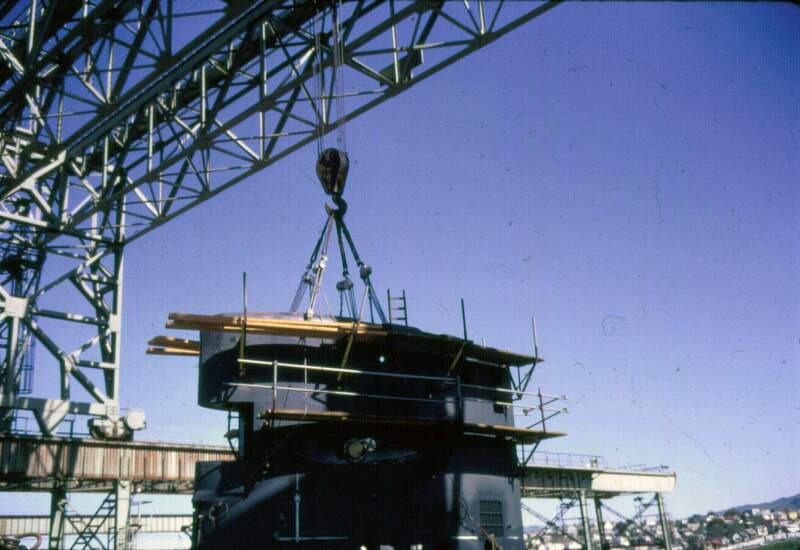 352k The installation of Guitarro's (SSN-665) sail on the building way on 22 April 1968. USN photo # 82650-4-68 courtesy of Darryl L. Baker. 104k A clipping from the 26 July 1968 Mare Island newspaper "Tie Line". 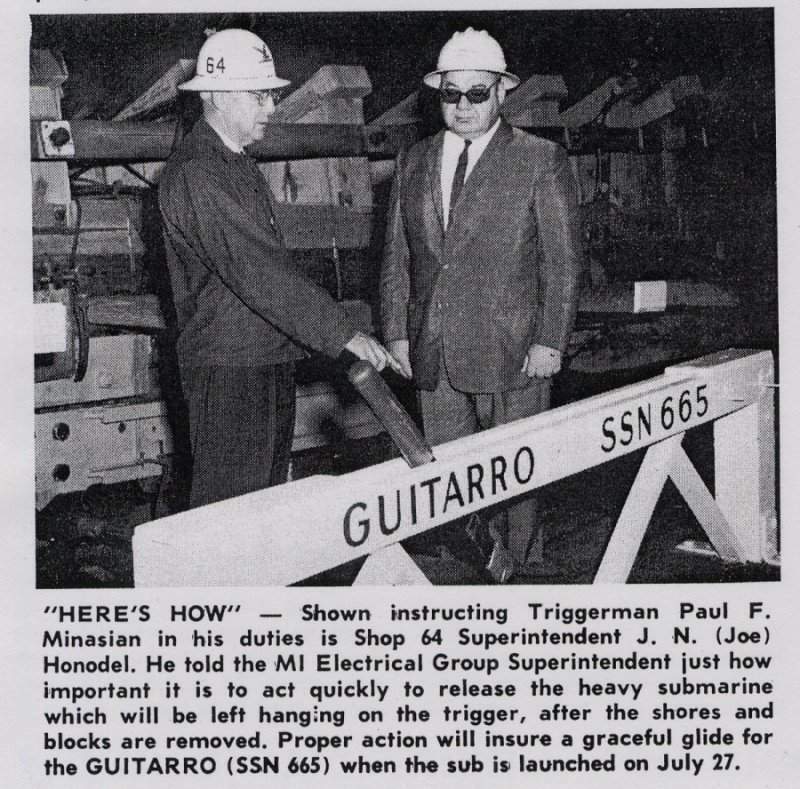 The photo shows Joe Honodel, Superintendent of Shop 64 (Shipwrights) is giving Paul F. Minasiian, Electrical Group Superintendent instruction on his duties as the triggerman for the launching of the Guitarro (SSN-665) on 27 July 1968. USN photo courtesy of Darryl L. Baker. 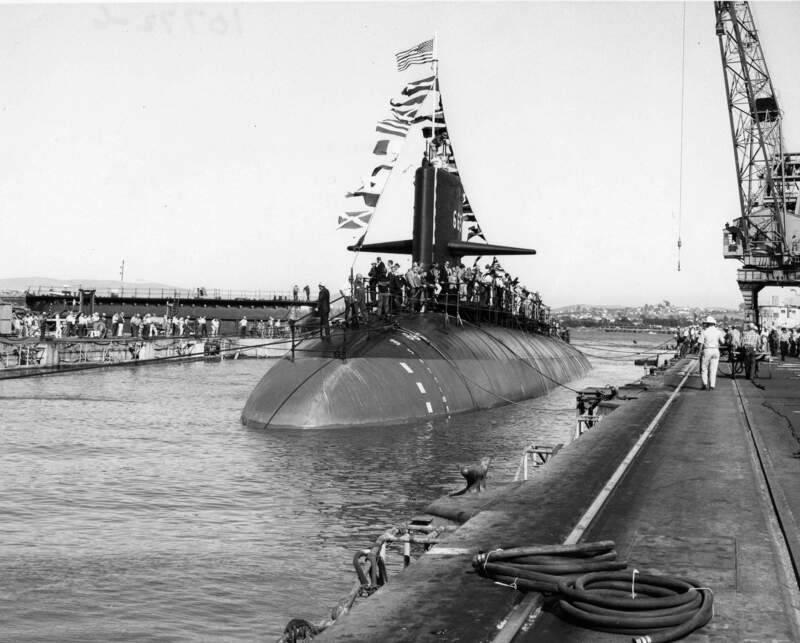 95k Mrs. John McNay Taylor, Sponsor for the launching of the Guitarro (SSN-665) at Mare Island on 27 July 1968. 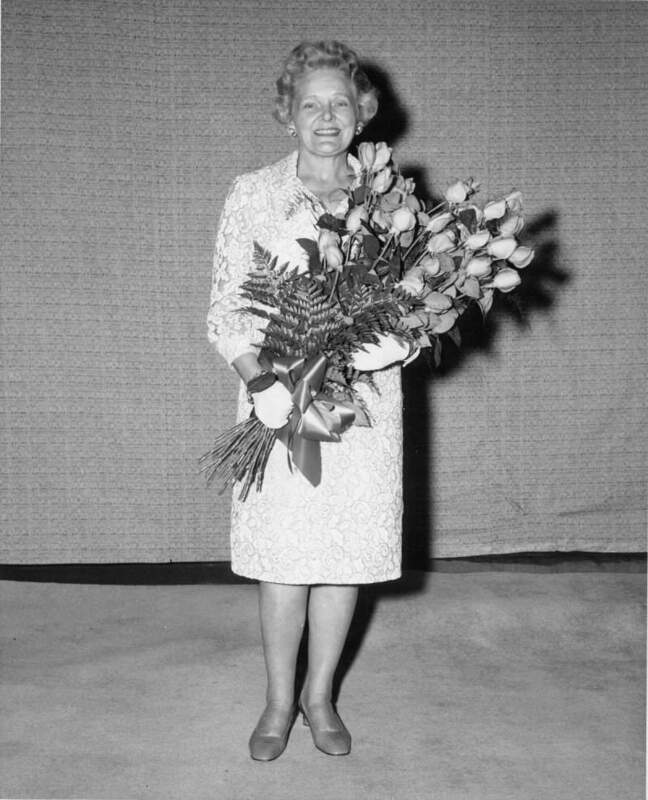 She was the wife of VADM John McNay Taylor, USN (Ret). 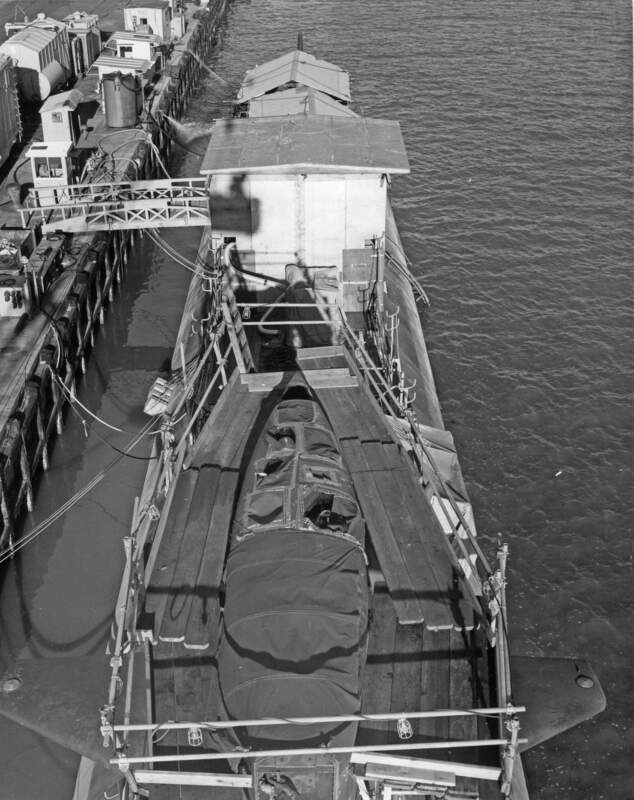 The Guitarro was the 14th nuclear submarine launched at Mare Island. USN photo # MSA-86040-7-68, courtesy of Darryl L. Baker. 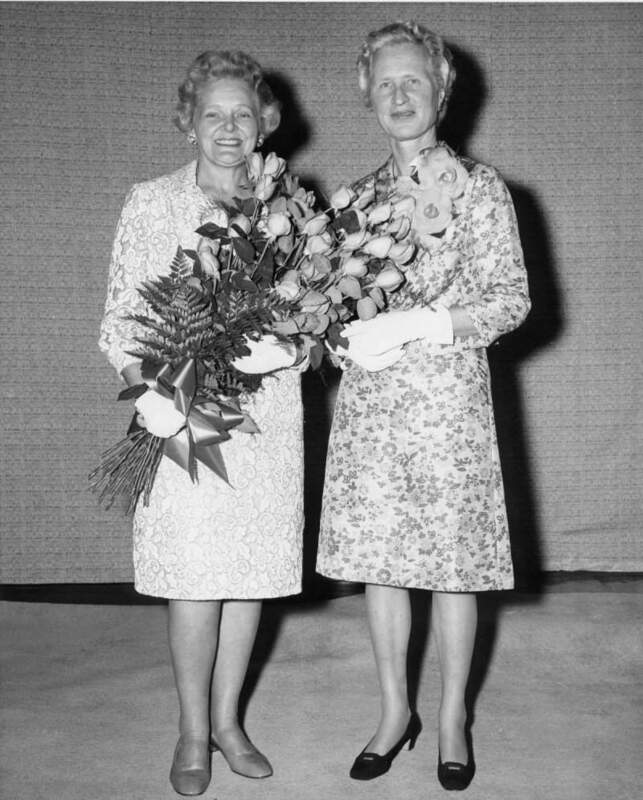 104k Mrs. John McNay Taylor, Sponsor and Mrs. John Sutro, Matron of Honor for the launching of the Guitarro (SSN-665) on 27 July 1968 at Mare Island. USN photo # MSA-86041-7-68, courtesy of Darryl L. Baker. 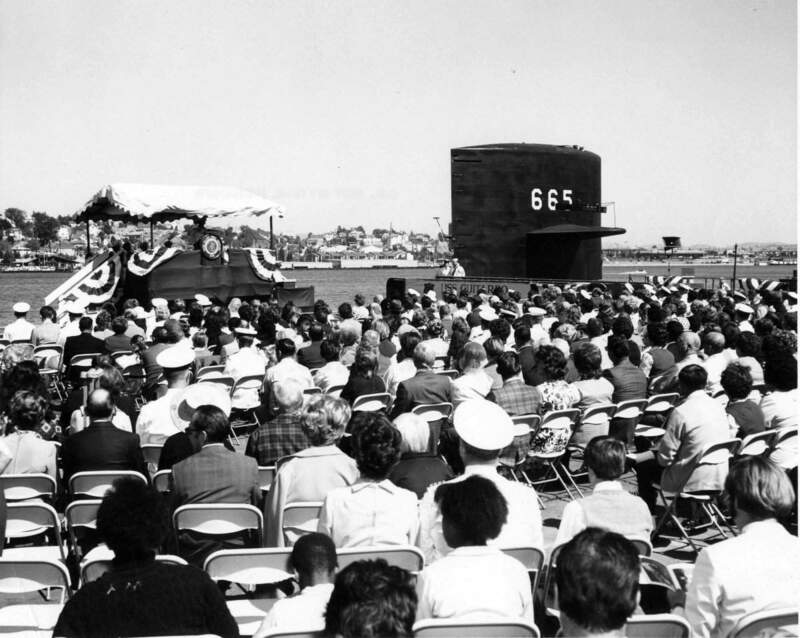 764k The official launching party for the Guitarro (SSN-665) on 27 July 1968 at Mare Island. Seated left to right: Mrs. Paul F. Minasian; Mrs. L. B. Mayer; Mrs. John Sutro (Matron of Honor); Mrs. John McNay Taylor (Sponsor); Mrs. J. H. McQuilkin; Mrs. R. L. Leggett; Mrs. H. R. Adrianse; and Mrs. A. S. Kirkland. 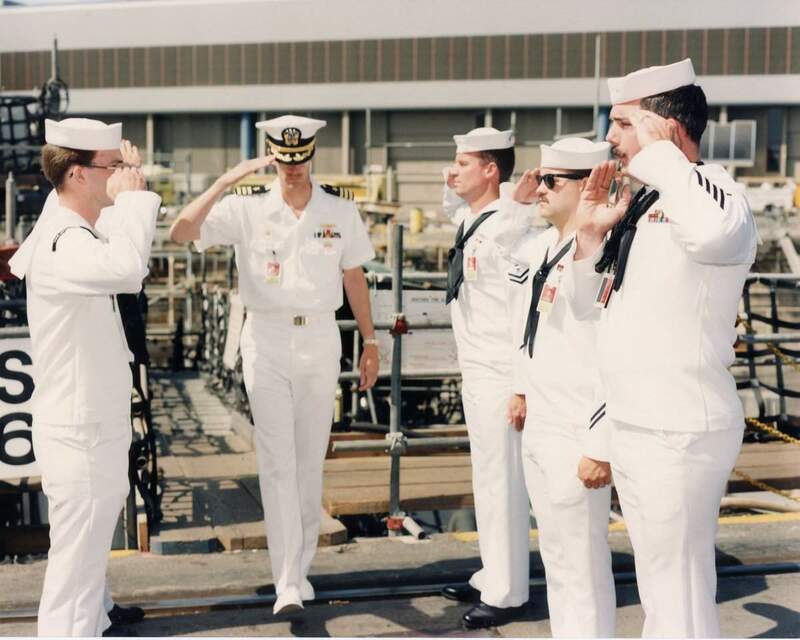 Standing left to right: Mr. Paul F. Minasian; RADM E. J. Fahy (NAVSHIPSYSCOM); Capt. 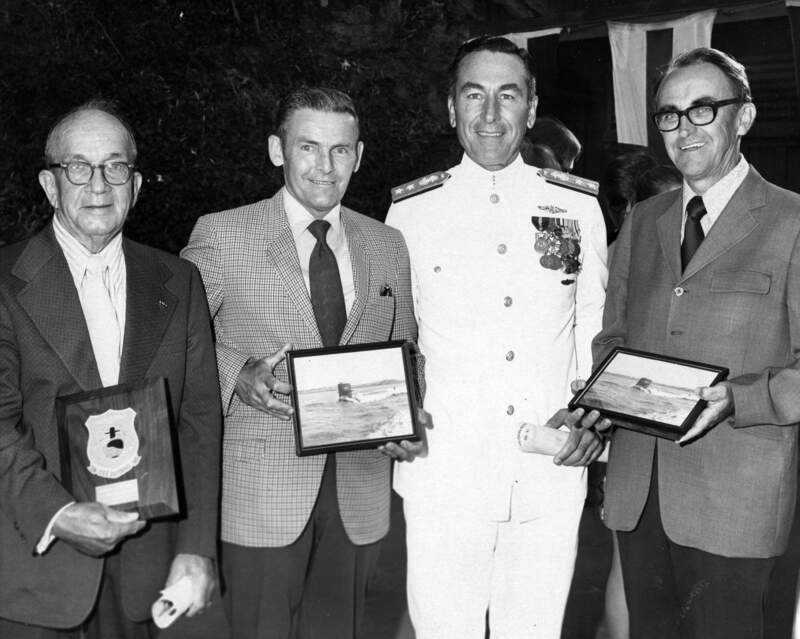 L. B. Mayer (Deputy Shipyard Commander); Mr. John Sutro; VADM John McNay Taylor (Ret. ); Representative Robert L. Leggett; RADM J. H. McQuilkin (Shipyard Commander); Capt. H. R. Adrianse (Production Officer); LCDR A. S. Kirkland (Chaplain). Navy Photo # 86044-7-68, courtesy of the Vallejo Naval and Historical Museum via Darryl L. Baker. 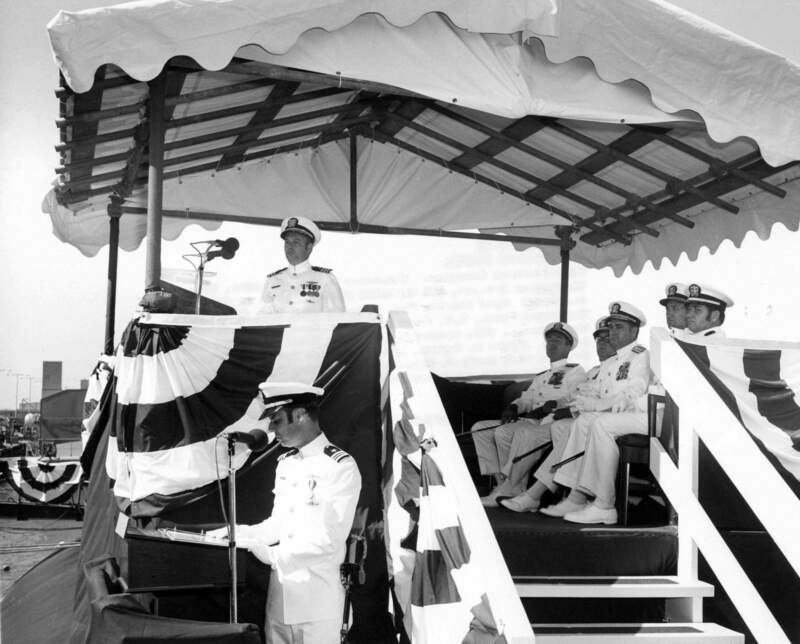 118k RADM J. H. McQuilkin, USN, Shipyard Commander speaks at the launching of the Guitarro (SSN-665) on 27 July 1968 at Mare Island. USN photo # MSA-86050-7-68, courtesy of Darryl L. Baker. 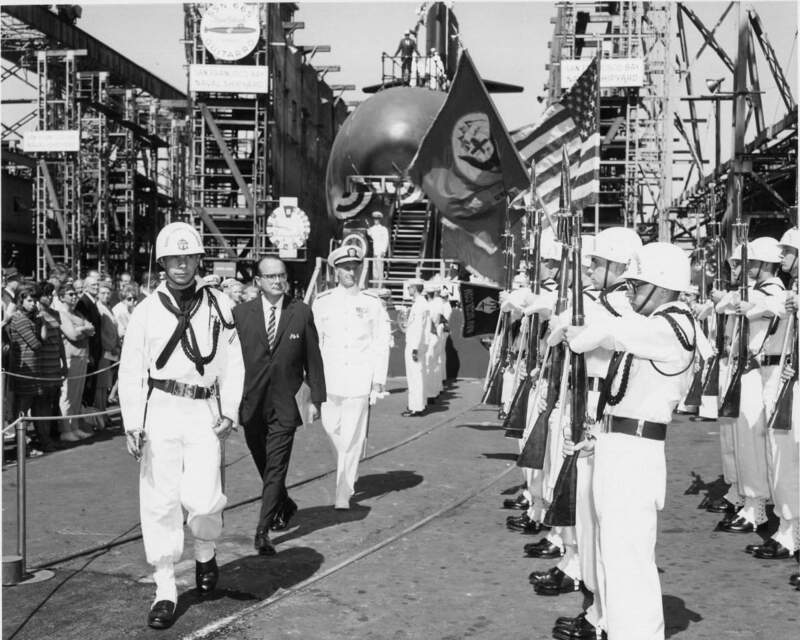 159k Representative Robert L. Leggett and RADM J. H. McQuilkin inspect the honor guard at the launching of the Guitarro (SSN-665) on 27 July 1968 at Mare Island. The Honor Guard was composed of students from Naval Schools Command, Mare Island. USN photo MSA 86046-7-68, courtesy of Darryl L. Baker. 103k This picture appeared in the 2 August 1968 issue of the Mare Island newspaper "Tie Line" showing the christening of the Guitarro (SSN-665) at Mare Island on 27 July 1968. USN photo courtesy of Darryl L. Baker. 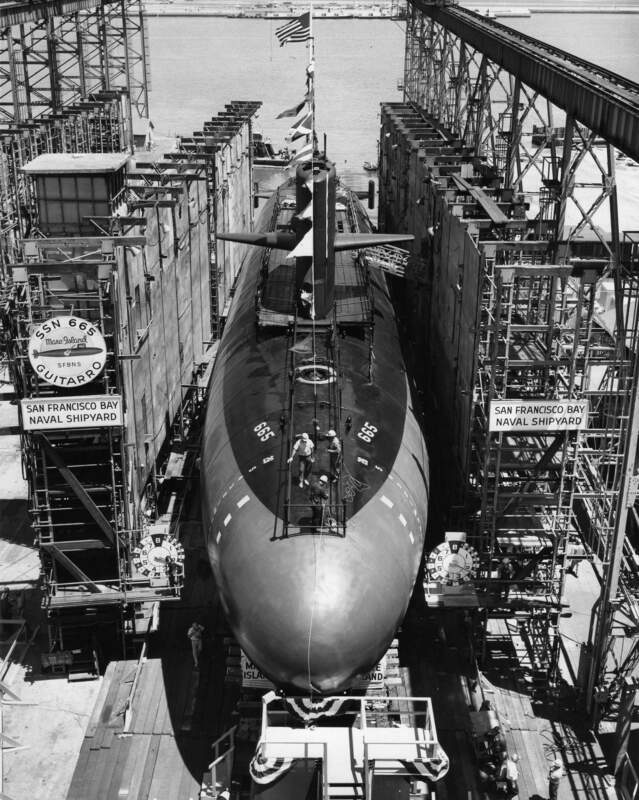 506k Bow view of Guitarro (SSN-665) and her launch cradle on the ways early on her launch date of 27 July 1968 at Mare Island. 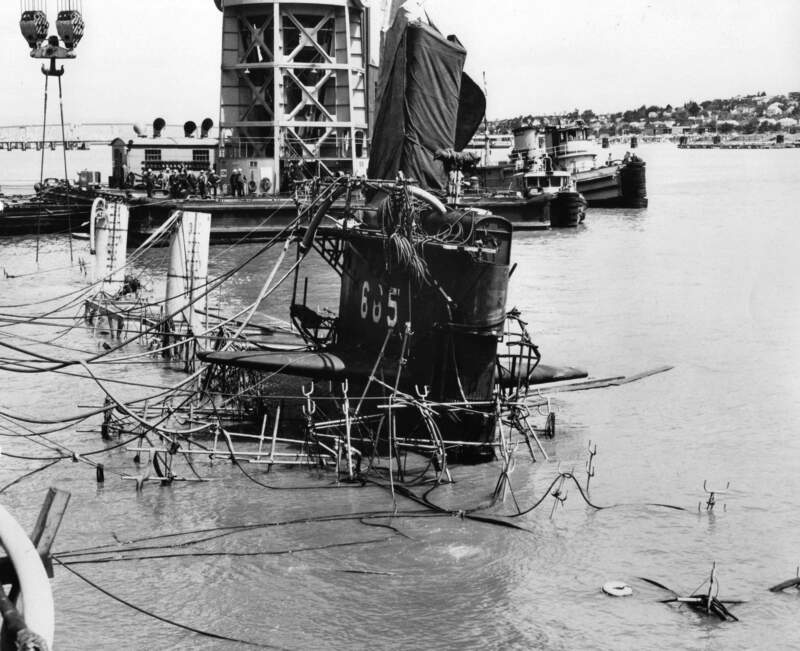 Navy Photo # 86034-7-68, courtesy of the Vallejo Naval and Historical Museum via Darryl L. Baker. 552k The launch trigger for the Guitarro (SSN-665). Navy Photo # 86035-7-68, courtesy of the Vallejo Naval and Historical Museum via Darryl L. Baker. 871k Bow view of Guitarro (SSN-665) on the ways. Navy Photo # 86038-7-68, courtesy of the Vallejo Naval and Historical Museum via Darryl L. Baker. 786k Stern view of the Guitarro (SSN-665). Navy Photo # 86039-7-68, courtesy of the Vallejo Naval and Historical Museum via Darryl L. Baker. 878k The Guitarro (SSN-665) is ready for launching. Navy Photo # 86053-7-68, courtesy of the Vallejo Naval and Historical Museum via Darryl L. Baker. 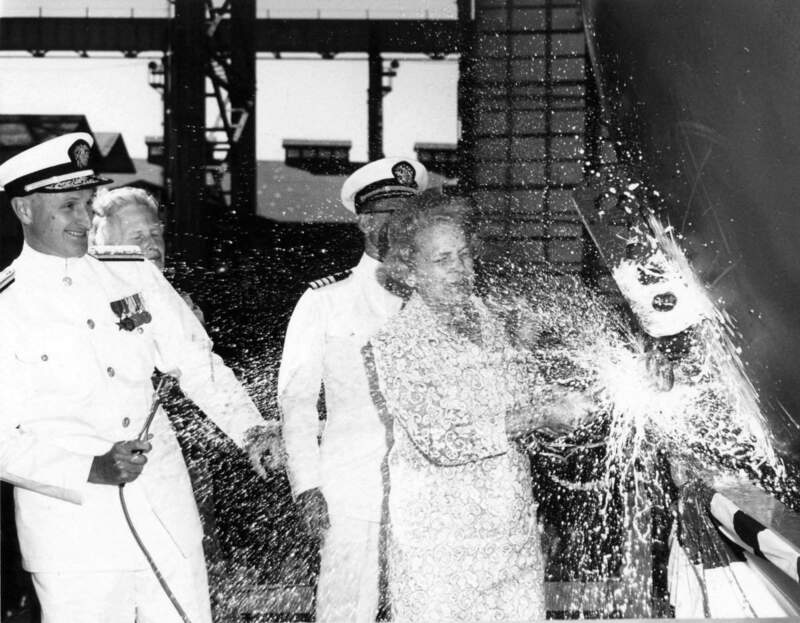 526k Mrs John McNay Taylor, Sponsor, christens the Guitarro (SSN-665) on 27 July 1968 at Mare Island. USN photo # 86057-7-68, courtesy of Darryl L. Baker. 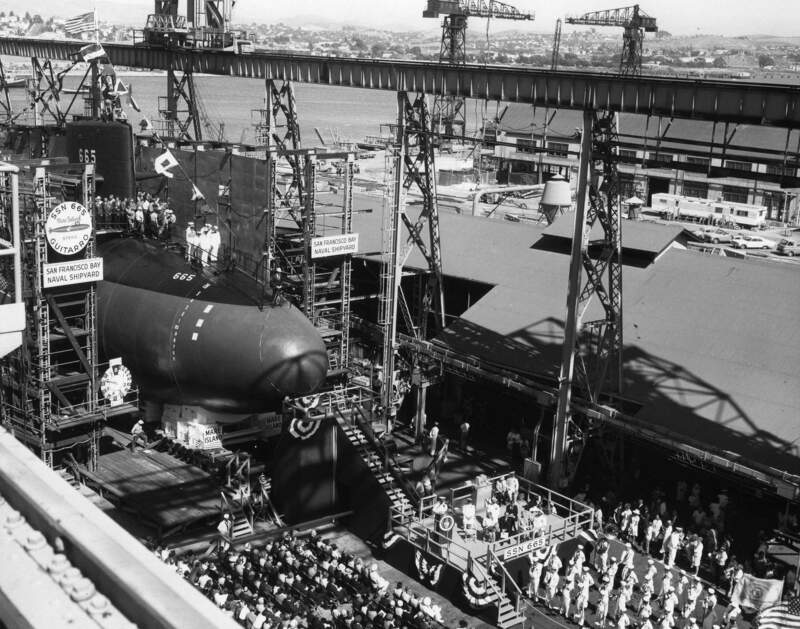 817k The Guitarro (SSN-665) is christened. Navy Photo # 86056-7-68, courtesy of the Vallejo Naval and Historical Museum via Darryl L. Baker. 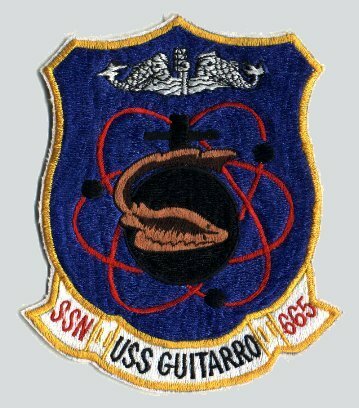 888k The Guitarro (SSN-665) is headed down the building ways. Navy Photo # 86058-7-68, courtesy of the Vallejo Naval and Historical Museum via Darryl L. Baker. 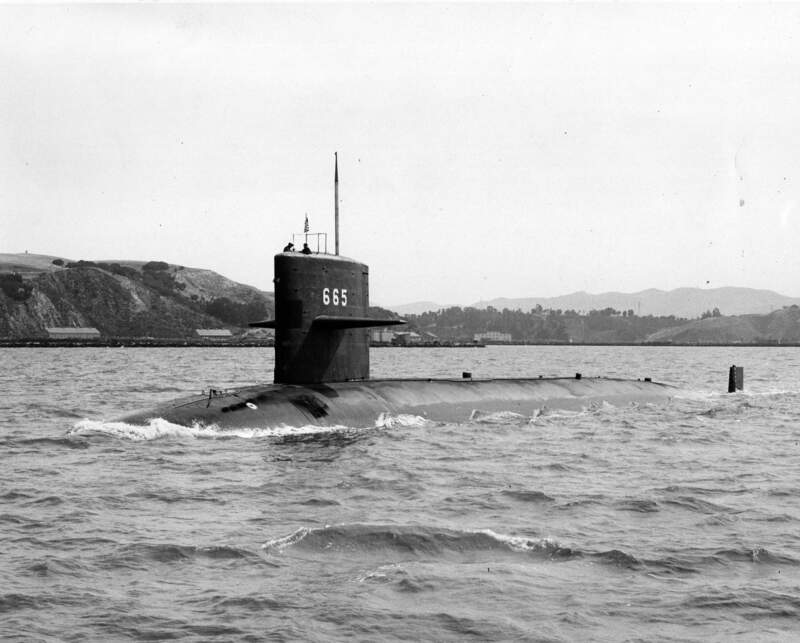 952k Guitarro (SSN-665) entering the water at Mare Island on 27 July 1968. USN photo # 86061A-7-68 TH, courtesy of Darryl L. Baker. via Vallejo Naval and Historical Museum. 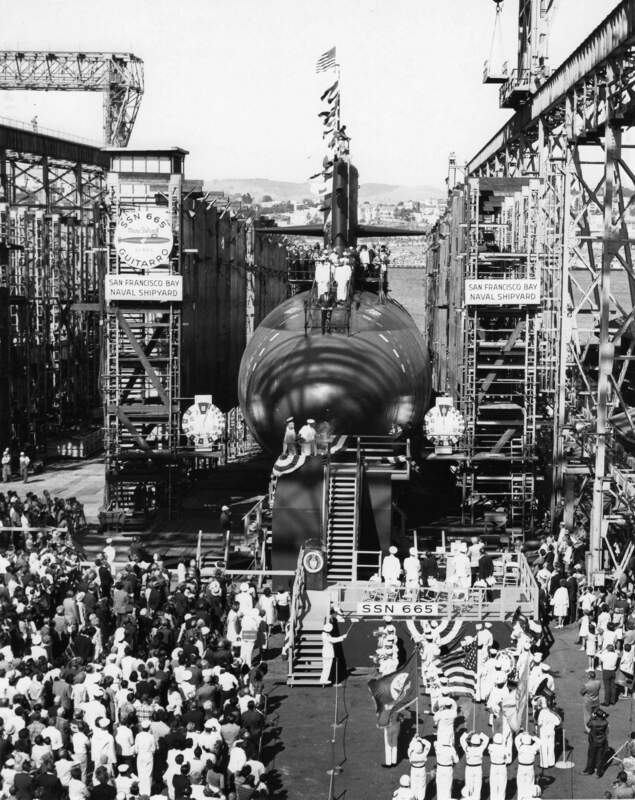 1.10k The Guitarro (SSN-665) at the end of the launching ways and entering the waters, 27 July 1968 at Mare Island. USN photo courtesy of Jim Stats and submitted by Darryl L. Baker. 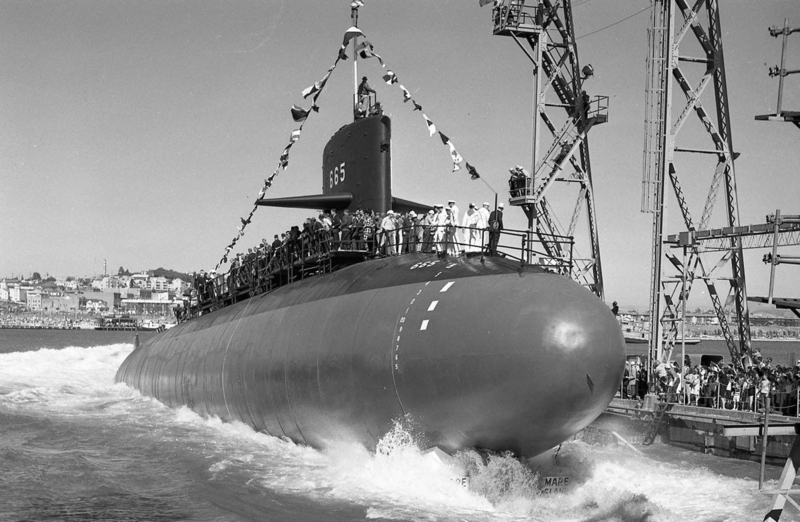 2.02k PDF of the Guitarro (SSN-665) launching program at Mare Island on 27 July 1968. USN photo courtesy of Darryl L. Baker. 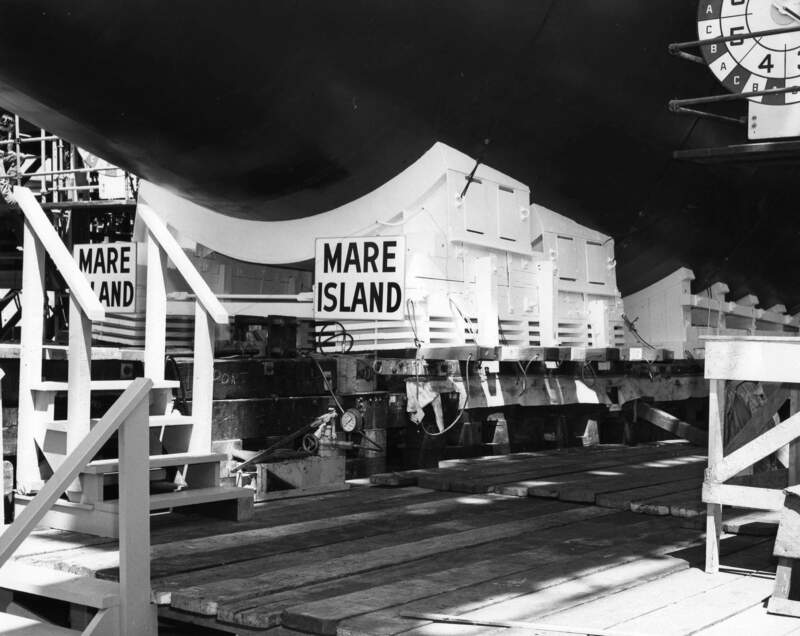 667k This picture appeared in the 2 August 1968 issue of the Mare Island newspaper "Tie Line" showing the Guitarro (SSN-665) in dry dock 2 after her launching at Mare Island on 27 July 1968. She was in dry dock to drop the launching cradle. Navy Photo # 86035-7-68, courtesy of the Vallejo Naval and Historical Museum via Darryl L. Baker. 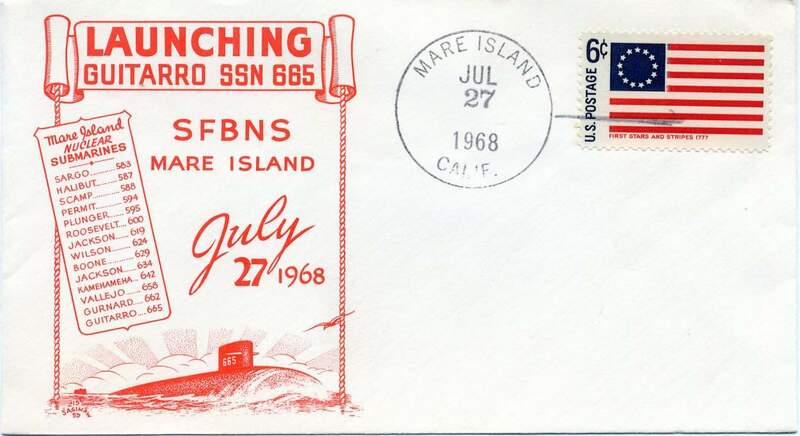 71k First day cover for the launching of Guitarro (SSN-665). Courtesy of Darryl L. Baker. 95k Another first day cover for the launching of Guitarro (SSN-665). 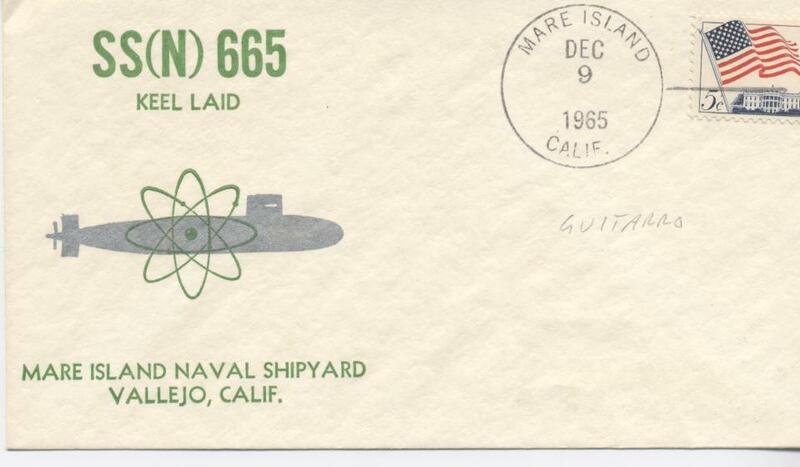 This one lists the nuclear submarines built at Mare Island up to the Guitarro. Courtesy of Darryl L. Baker. 916k The Guitarro (SSN-665) is in the channel on her way to dry dock to drop the launching cradle on 27 July 1968 at Mare Island. The tugs from left to right: Satanta (TYM-270) with DeKaury (YTM-178) and Sea Mule (TYL-614) at the stern and YTL-435 is at the bow. There is an unidentified YTB in the background. Navy Photo # 86063-7-68, courtesy of the Vallejo Naval and Historical Museum via Darryl L. Baker. 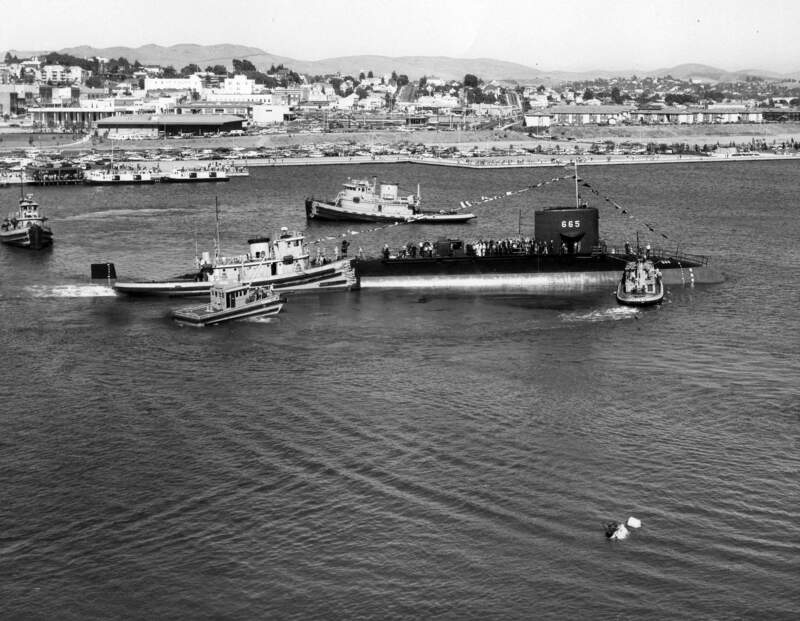 134k The Guitarro (SSN-665) is on the bottom of the Napa River after her accidental sinking at Mare Island on 15 May 1969. (Note: The reactor had not been installed). 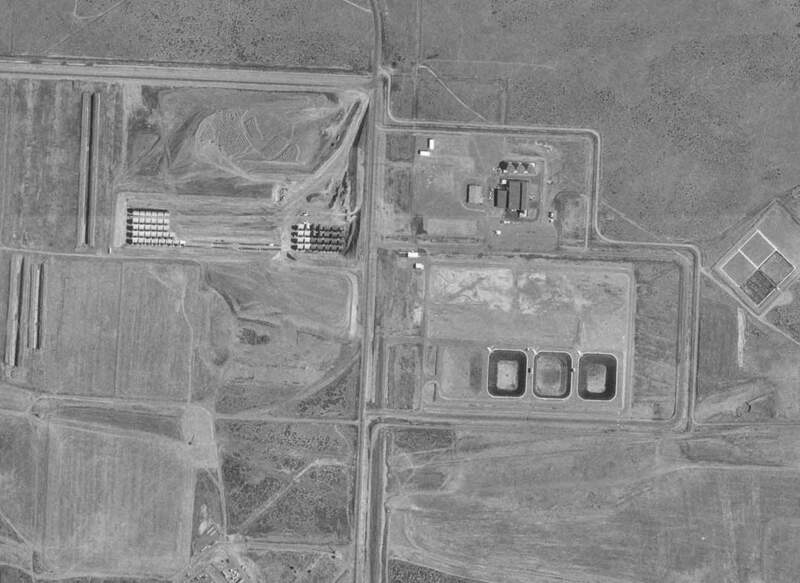 Other vessels in the picture are from left to right; unknown YD, YD-33 (150 Ton Crane), and Satanta (YTM-270). Satanta is preventing the Guitarro from capsizing. 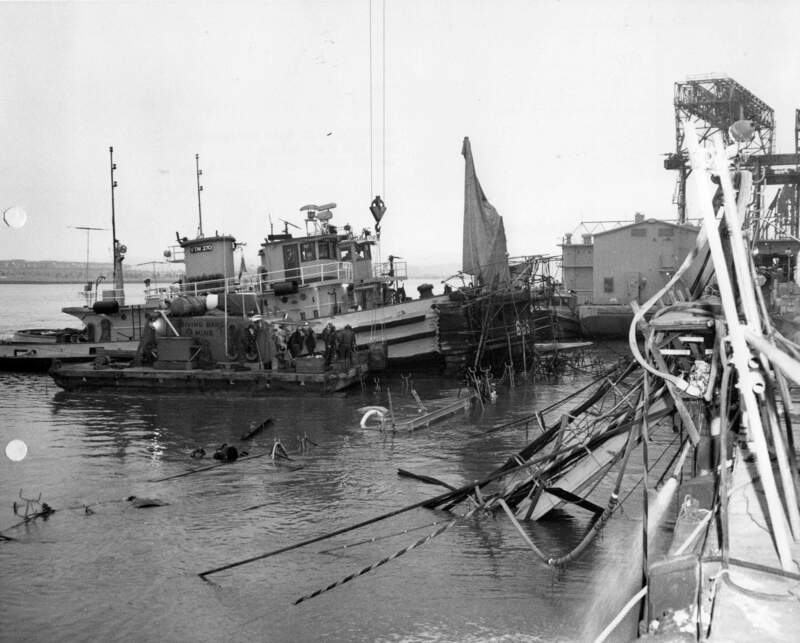 (On a personal note: I was working the installation of her MK-113 fire control system at the time, but I was in training at the time of her sinking and salvage. I did return in time to remove the mounting rails and the reference sensing elements from the forward portion of the torpedo tubes. 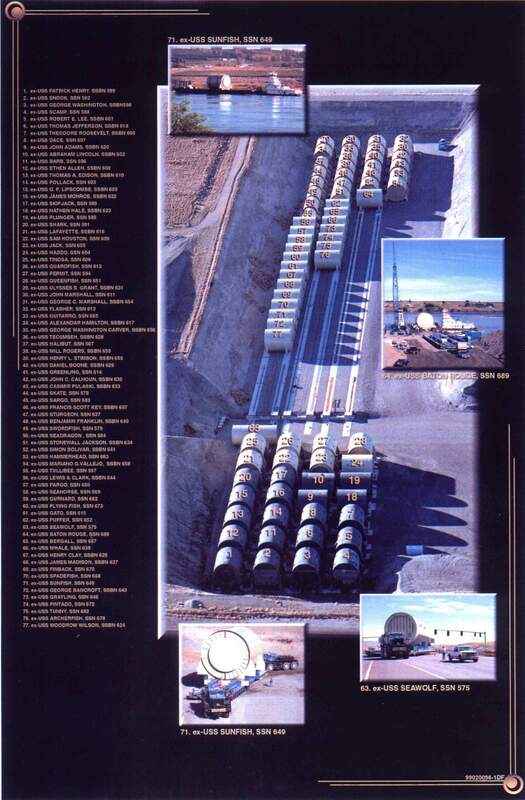 These units were located on the tubes just before they penetrated the pressure hull. This experiences gave a new meaning to "sewer pipes.") USN photo # MSA 91770-5-69, courtesy of Darryl L. Baker. 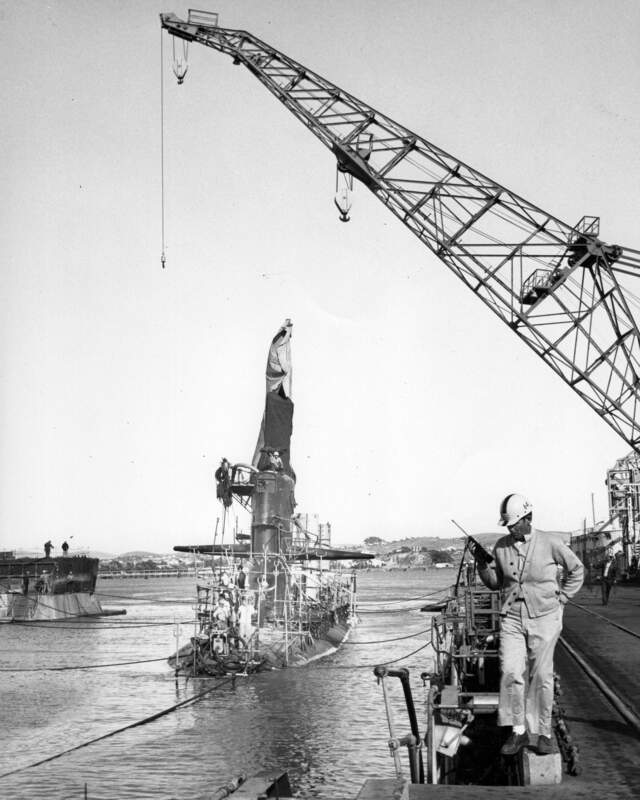 788k The Guitarro (SSN-665) after her accidental sinking at Mare Island on 15 May 1969, in dry dock #3 at Mare Island. 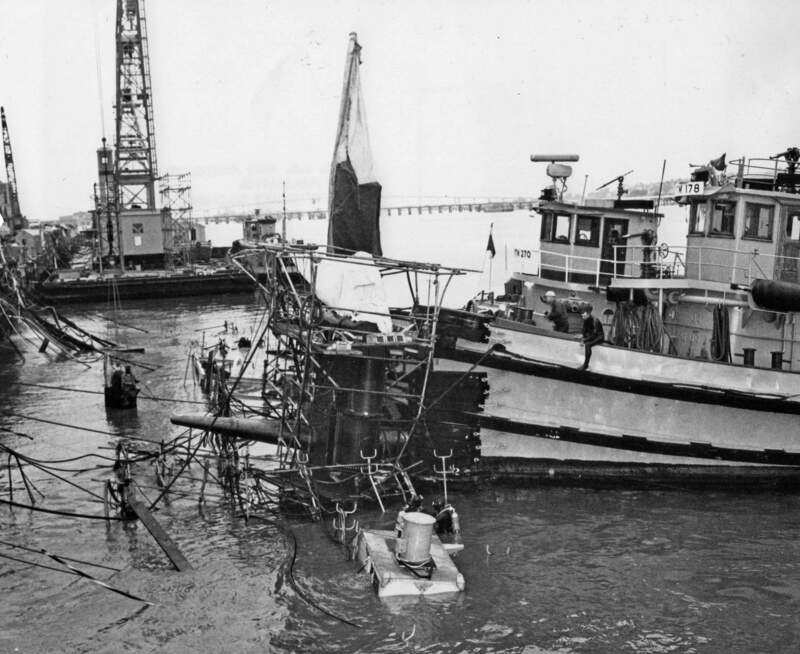 She is being stripped of all equipment after her sinking at the shipyard. Equipment in the foreground is ultrasonic cleaning tanks for electronic equipment. Large tank trailer behind open tanks contains pure water. White rectangle in the middle of the picture blanks out the subs mast configuration. USN photo courtesy of W. Gordon Lange, Captain, USN Ret. 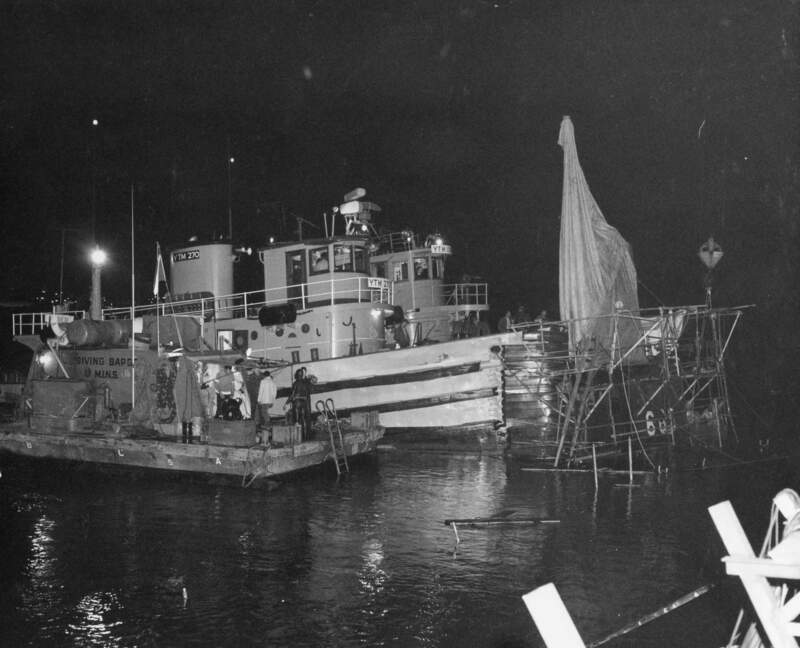 806k Navy tugs Satanta (YTM-270) and DekauryYTM-178 with the shipyard's diving barge alongside the sail of the Guitarro (SSN-665) late in the evening of 15 May 1969 looking south. USN photo # 91759-5-69, courtesy of Darryl L. Baker. 832k Navy tugs Satanta (YTM-270) and DekauryYTM-178 with the shipyard's diving barge alongside the sail of the Guitarro (SSN-665) on the morning of 16 May 1969 looking south. USN photo # 91762-5-69, courtesy of Darryl L. Baker. 889k Navy tugs Satanta (YTM-270) and DekauryYTM-178 with the shipyard's diving barge alongside the sail of the Guitarro (SSN-665) on the morning of 16 May 1969 looking north. USN photo # 91763-5-69, courtesy of Darryl L. Baker. 945k Navy tug Satanta (YTM-270) alongside the sail of the Guitarro (SSN-665) late on 16 May 1969. USN photo # 91771-5-69, courtesy of Darryl L. Baker. 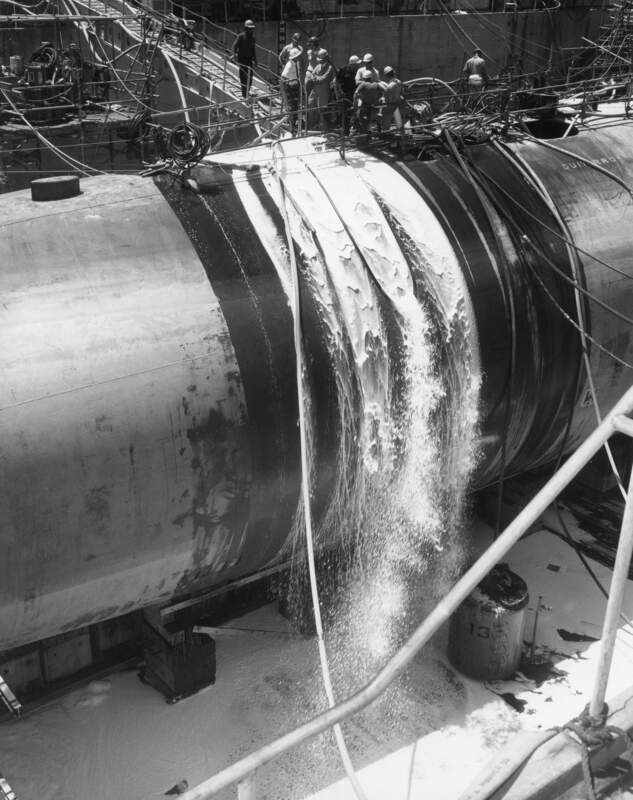 739k The engine room cofferdam for the Guitarro (SSN-665) is being readied for installation aboard the submarine on 17 May 1969. The yard's 150 ton floating crane YD-33 is seen in the background. USN photo # 91798-5-69, courtesy of Darryl L. Baker. 386k The engine room cofferdam for the Guitarro (SSN-665) is being installed aboard the submarine on 17 May 1969. Note diver in the water. USN photo # 91813-5-69, courtesy of Darryl L. Baker. 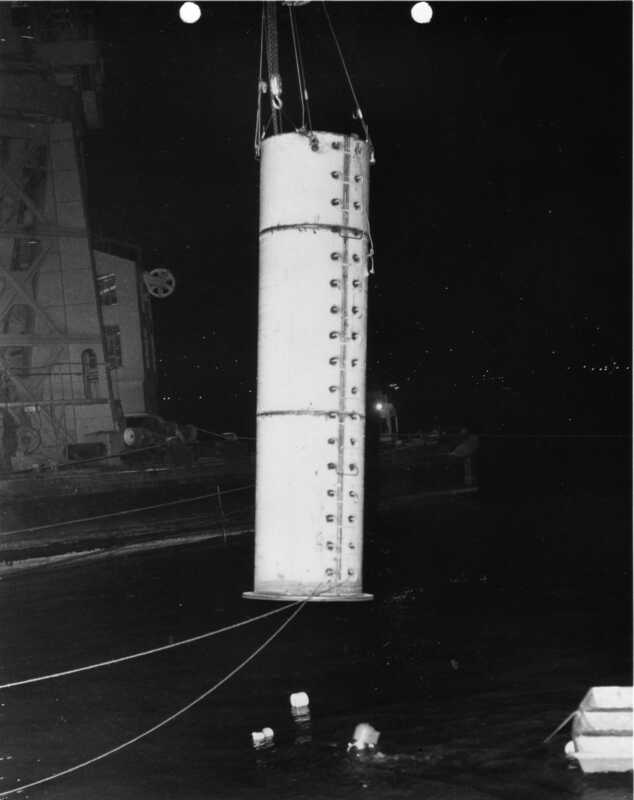 898k Crane is about to lower a submersible pump into the engine room of Guitarro (SSN-665) on 18 May 1969. USN photo # 9181-5-69, courtesy of Darryl L. Baker. 963k View of Guitarro (SSN-665) on 18 May 1969 with both after cofferdams installed and dewatering in progress. USN photo # 91830-5-69, courtesy of Darryl L. Baker. 897k View of Guitarro (SSN-665) on 18 May 1969 on her way to dry dock with the assistance of Navy tugs DekauryYTM-178 and YTL-435. USN photo # 91846-5-69, courtesy of Darryl L. Baker. 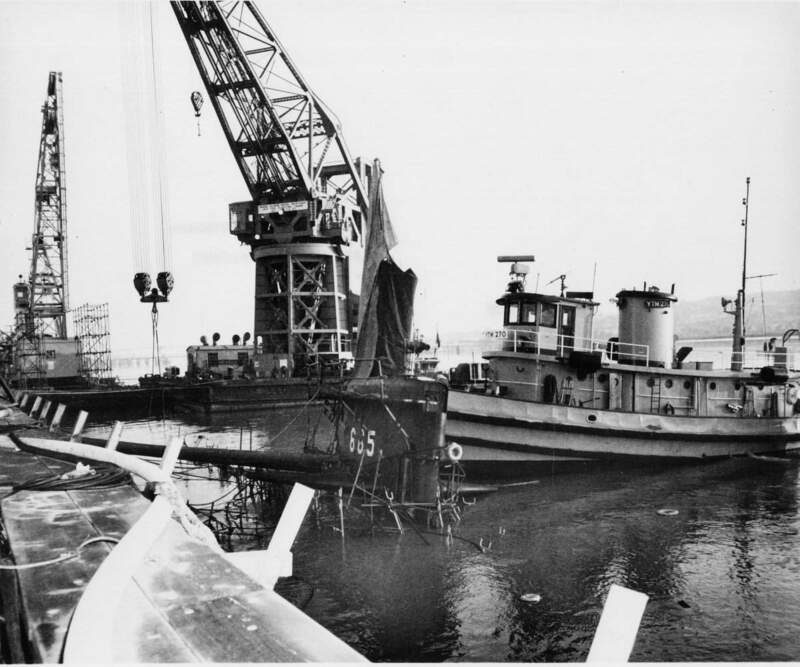 2.20k The tugs Lelaka (YTM-777) and YTL-435 are moving the refloated Guitarro (SSN-665) to dry dock at Mare Island on 19 May 1969. USN photo # 91846D-5-69 TH, courtesy of Darryl L. Baker. via Vallejo Naval and Historical Museum. 1.90k The refloated Guitarro (SSN-665) is seen entering dry dock #3 on 19 May 1969. USN photo # 91848-5-69 TH, courtesy of Darryl L. Baker. via Vallejo Naval and Historical Museum. 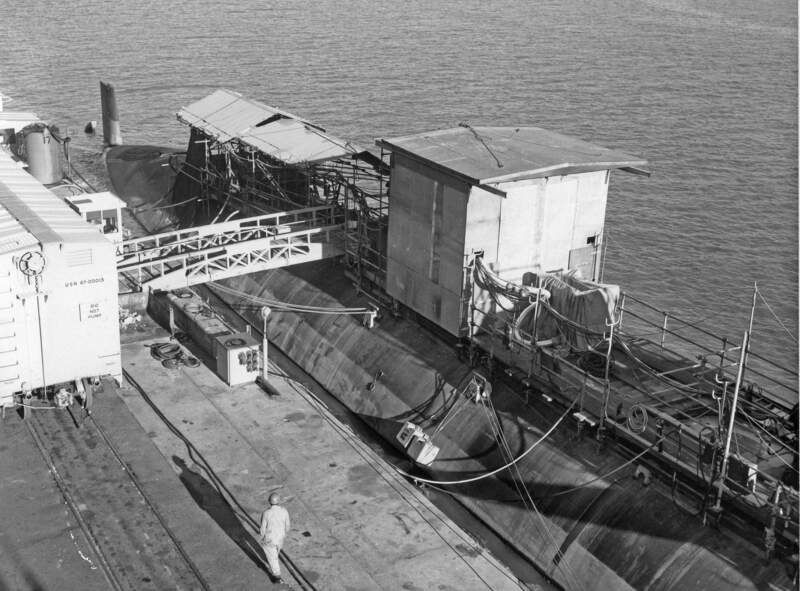 1.10k View of Guitarro (SSN-665) in the Mare Island's dry dock #3 showing the engineering spaces being flushed in 20 May 1969. USN photo # 91846-5-69, courtesy of Darryl L. Baker. 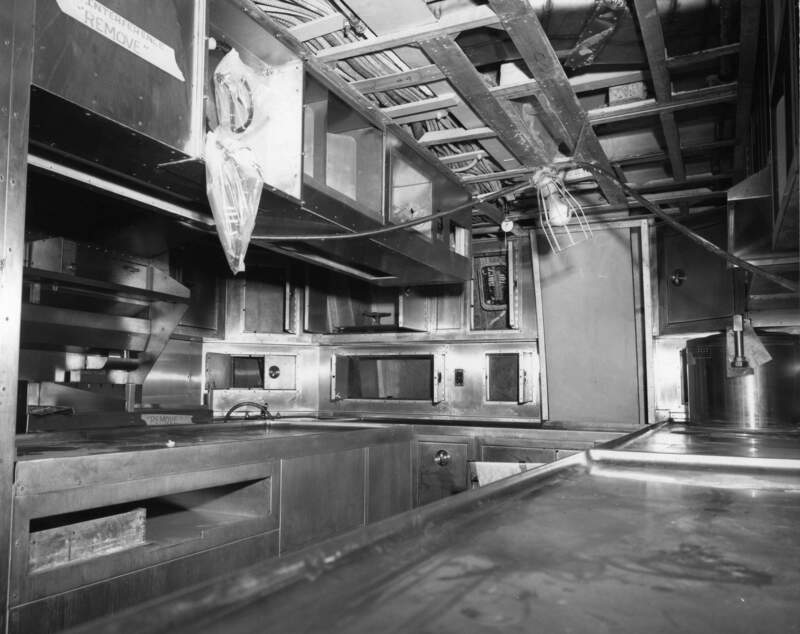 847k View of crew's galley aboard Guitarro (SSN-665) on 24 December 1969. USN photo # 95841-12-69 courtesy of Darryl L. Baker. 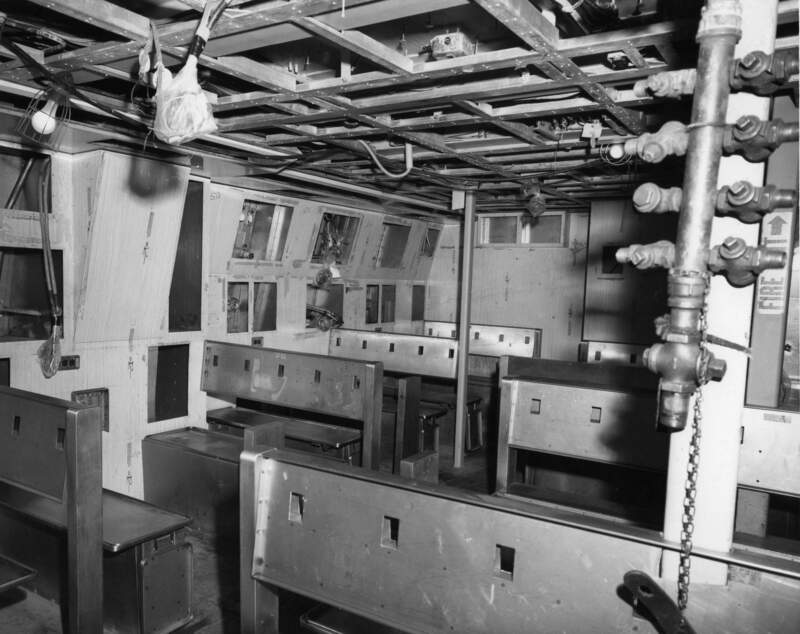 893k View of crew's mess aboard Guitarro (SSN-665) on 24 December 1969. USN photo # 95842-12-69 courtesy of Darryl L. Baker. 1.10k View of Guitarro's (SSN-665) sail and after hull on 29 December 1969. USN photo # 95850-12-69 courtesy of Darryl L. Baker. 988k View of Guitarro's (SSN-665) after hull on 29 December 1969. USN photo # 95851-12-69 courtesy of Darryl L. Baker. 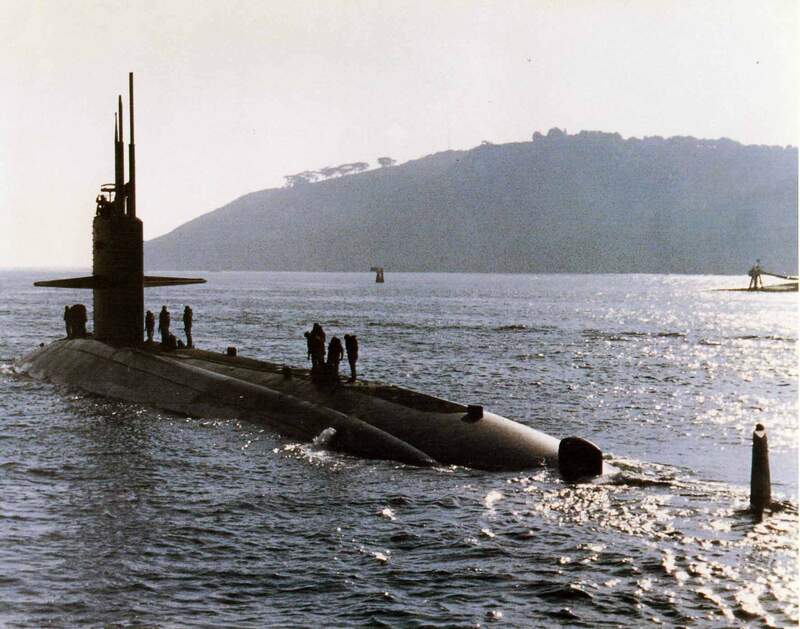 2.00k The Guitarro (SSN-665) departing Mare Island on 7 August 1972 for builders trials. USN photo # 111991-8-72, courtesy of Darryl L. Baker. via Vallejo Naval and Historical Museum. 253k Photo of the speaker and guest stand aboard the Guitarro (SSN-665) during her commissioning ceremonies at Mare Island on 9 September 1972. Speaker is CDR W. Gordon Lange, USN, Commanding Officer, Guitarro. Others on the stand are from left to right are RADM Paul L. Lacy, Jr., USN, COMSUBPAC; RADM Clyde J. Van Arsdall, USN, Commandant, 12th Naval District; RADM Joseph W. Russel, USN, Commander Flotilla One; Capt. James H. Webber, USN, Commander, Mare Island Naval Shipyard; and LCDR Glenn W. Thomson (CHC), USN, Chaplain. LCDR W. L. Powell, USN, Executive Officer, Guitarro is master of ceremony for the commissioning at the lower speakers stand. USN photo # 112554-9-72, courtesy of Darryl L. Baker. 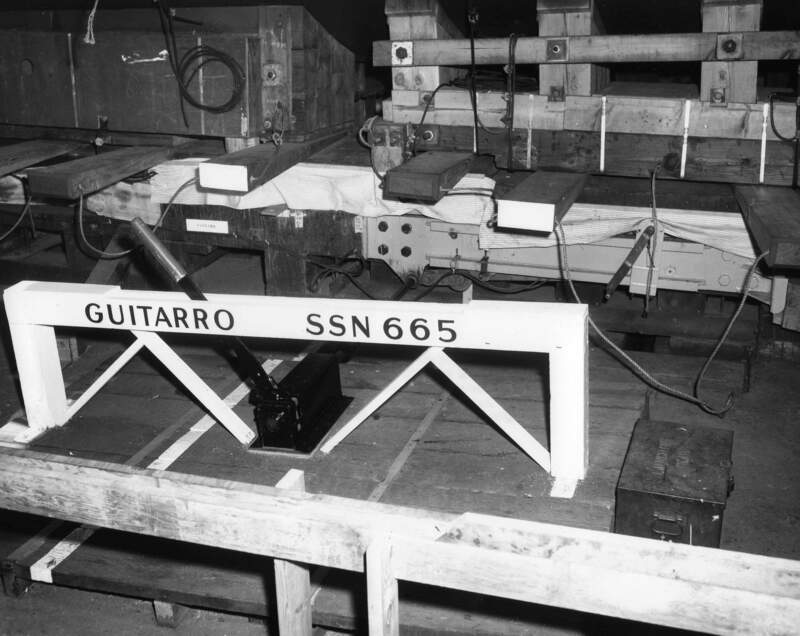 586k Speakers platform on the morning of the Guitarro's (SSN-665) on the morning of 9 September 1972. USN photo # 112548-9-72, courtesy of Darryl L. Baker. 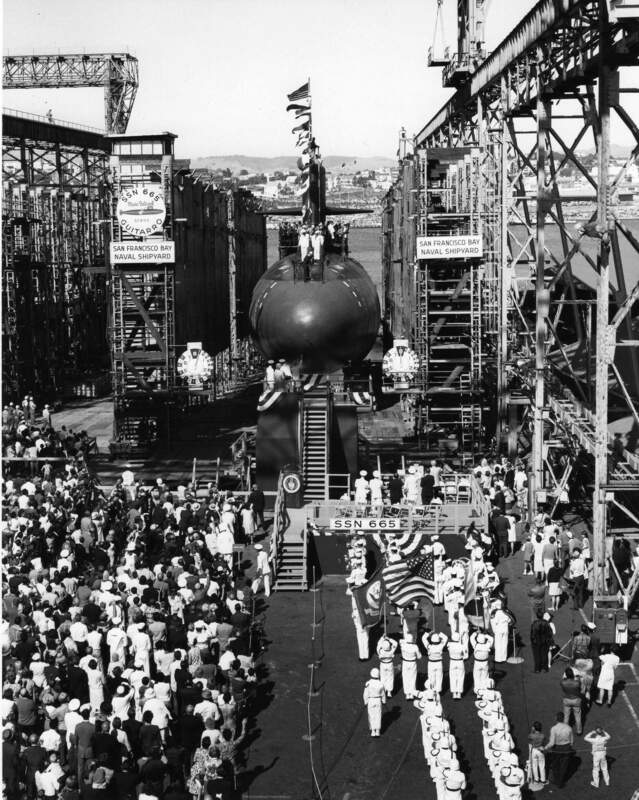 238k Guitarro (SSN-665) is commissioned at Mare Island Naval Shipyard on 9 September 1972. USN photo # 112552, courtesy of Darryl L. Baker. 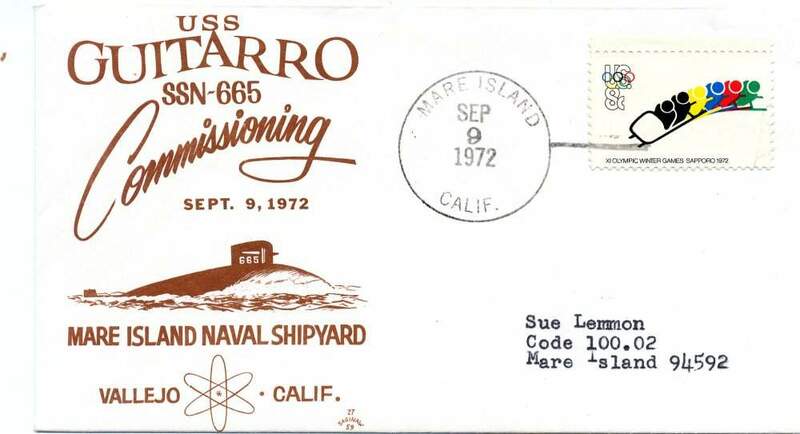 1.16k Front cover of the 12 page PDF Commissioning Program for the Guitarro (SSN-665) at Mare Island Naval Shipyard on 9 September1972. USN photo courtesy of Darryl L. Baker. 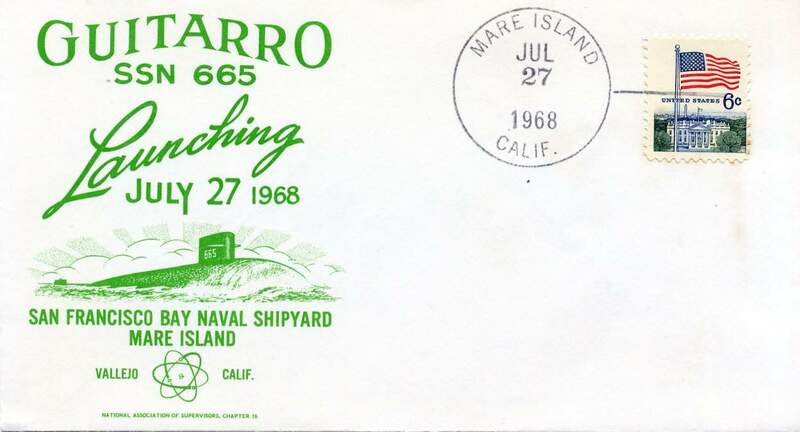 51k First day cover to commemorate the commissioning of the Guitarro (SSN-665) at Mare Island Naval Shipyard on 9 September 1972. USN photo courtesy of Darryl L. Baker. 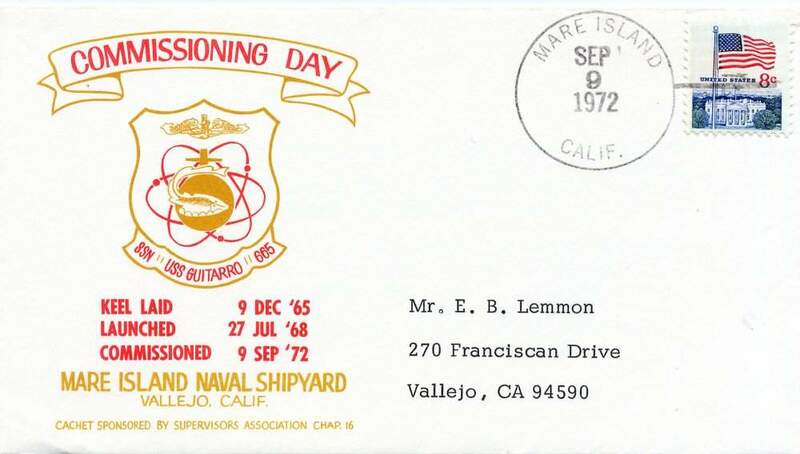 49k First day cover to commemorate the commissioning of the Guitarro (SSN-665) at Mare Island Naval Shipyard on 9 September 1972. This cover sponsored by the shipyard's Supervisors Association, Chapter 16. USN photo courtesy of Darryl L. Baker. 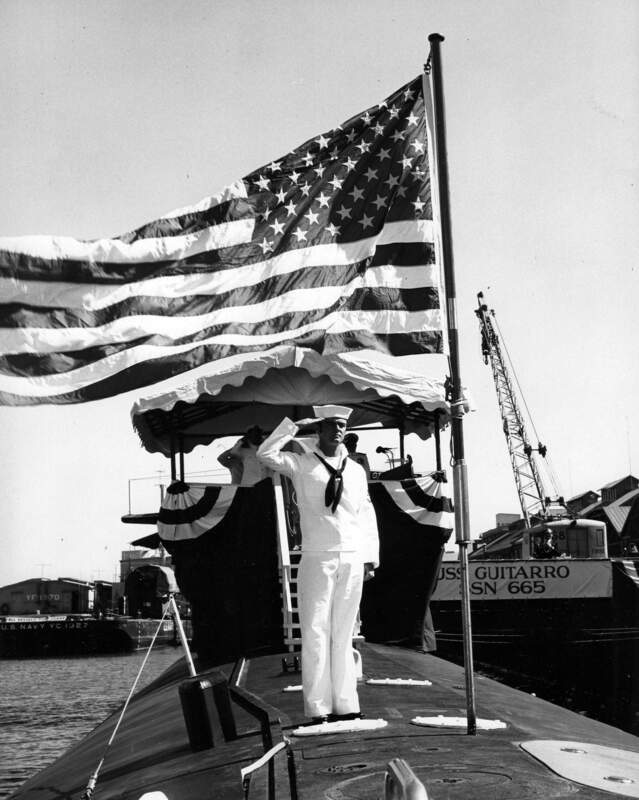 2.20k Photo of QM3 Daniel Legardeur saluting after he raised the colors aboard Guitarro (SSN-665) during her comissioning at Mare Island on 9 September 1972. USN photo # 112555-9-72 TH, courtesy of Darryl L. Baker. via Vallejo Naval and Historical Museum. 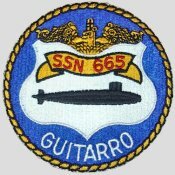 656k Four former members of the Guitarro (SS-363) were at the commissioning of the Guitarro (SSN-665) at Mare Island on 9 September 1972. Left to right: Henry W. Knoth, Charles A Foskett, RADM Paul L. Lacy (COMSUBPAC) who was the last of skipper of Guitarro and Joe Purcell. USN photo # 112557-9-72 TH, courtesy of Darryl L. Baker. via Vallejo Naval and Historical Museum. 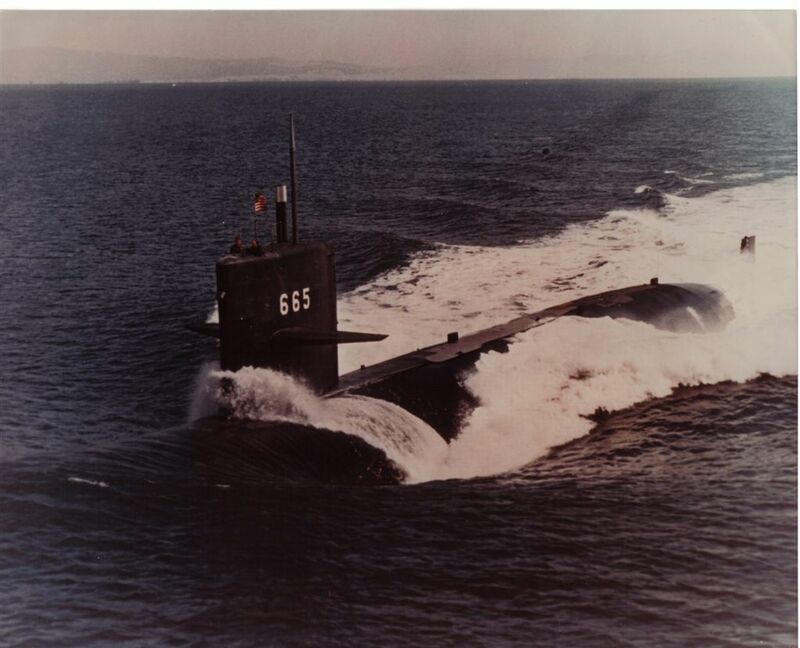 During the Cold War the US Naval Submarine Force was tasked with keeping tabs on Soviet Naval movements in particular, the Soviet Submarine Force. 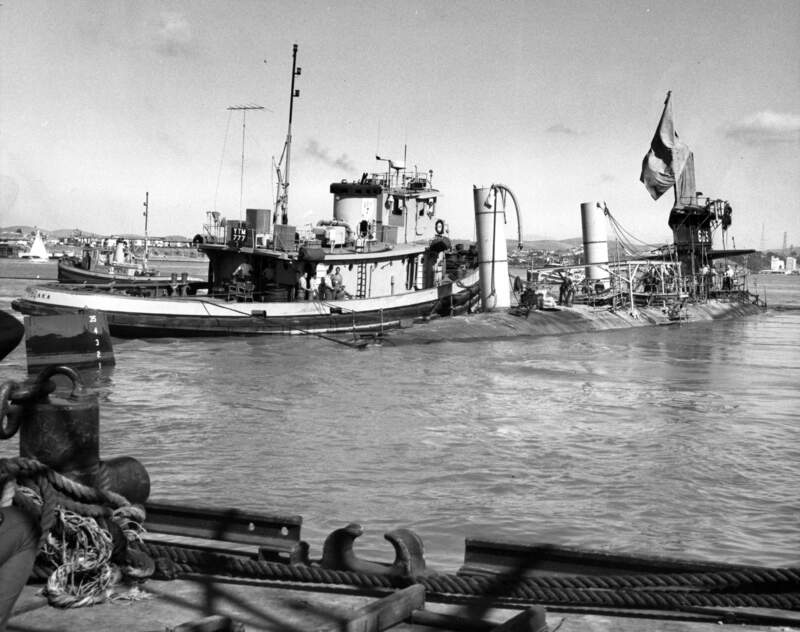 Submarines of the Sturgeon Class were well suited to this task and often trailed Soviet submarines for days reporting on their movements and recording noise signatures. In this image, such a trailing has turned into a close aboard encounter as a Soviet Viktor III Class has turned to port to check his baffles (to listen to see if anyone is immediately astern). A trailing Sturgeon has stopped his screw and gone quiet. 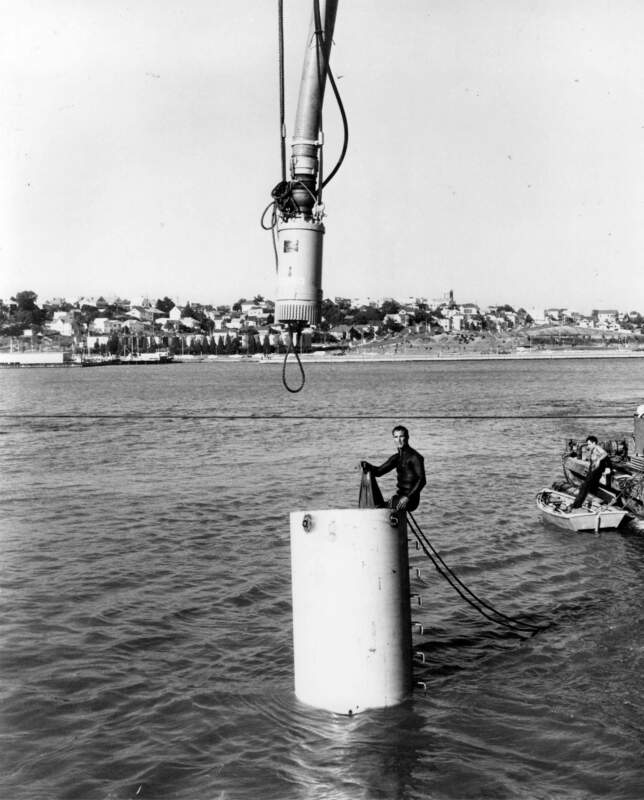 Extending far behind the US submarine is its towed array sonar which assists in giving a clear picture of the ocean�s acoustics Photo & text courtesy of subart.net. 145k Submerged submarines in tandem. U.S. Navy Photo courtesy of Robert Hall. 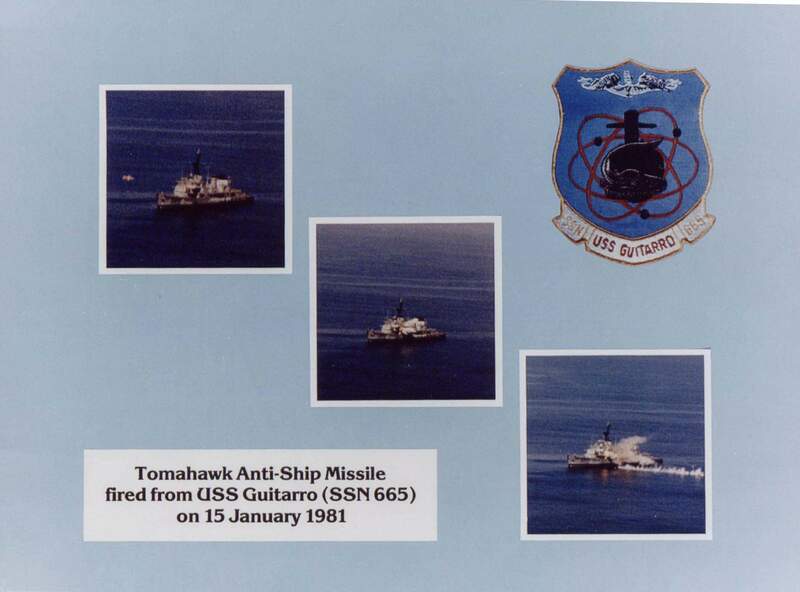 160k Display commemorative of Guitarro (SSN-665) of a June 1981 Tomahawk War Shot. USN photo courtesy of Darryl L. Baker. 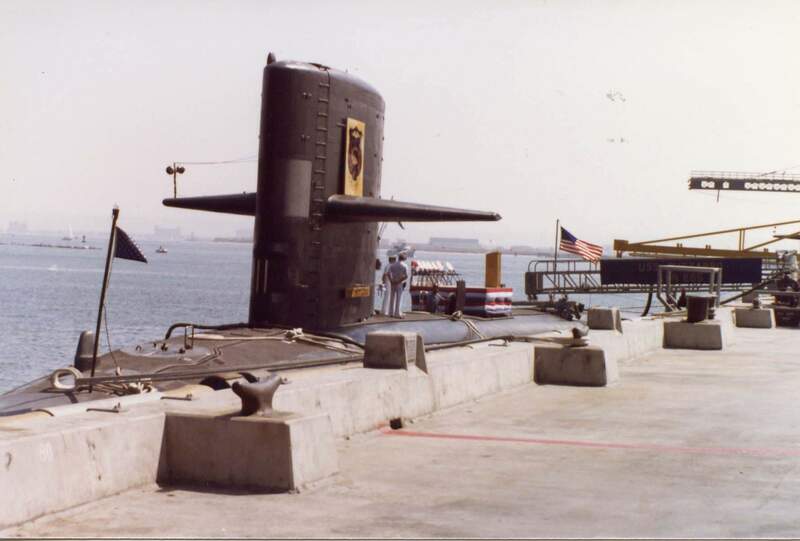 124k The Guitarro(SSN-665) at Ballast Point, San Diego, prior to a Change of Command ceremony on 18 July 1981. USN photo courtesy of Darryl L. Baker. 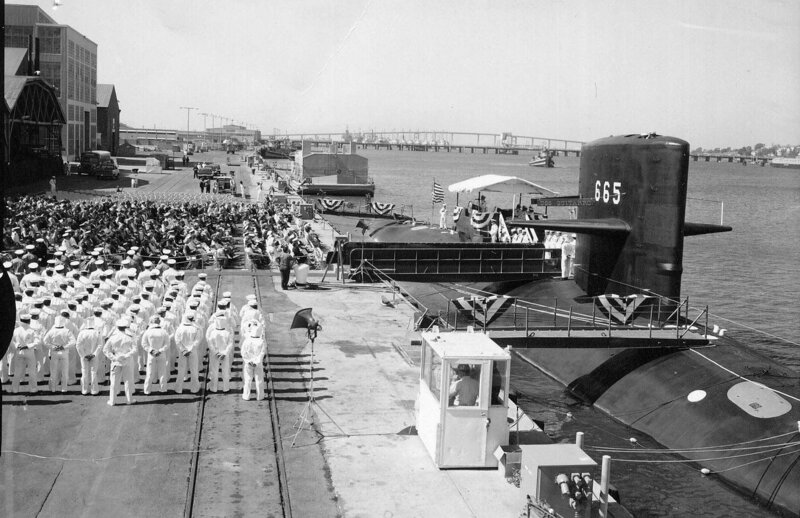 202k The Guitarro (SSN-665) Change of Command is seen in progress on 18 July 1981 at Ballast Point San Diego, Calif. 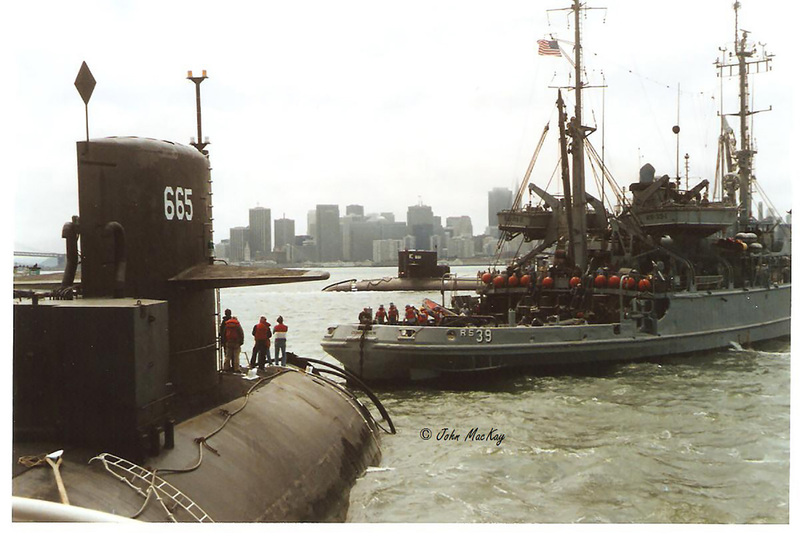 The Sam Houston (SSBN-609) is alongside the Dixon (AS-37) aft of Guitarro . USN photo courtesy of Darryl L. Baker. 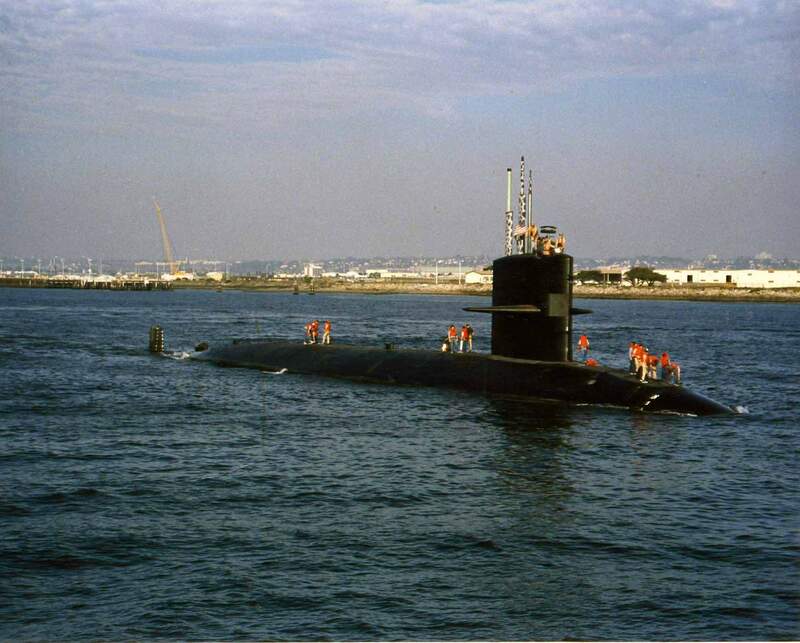 98k The Guitarro (SSN-665) returned to Mare Island on 4 June 1984 for a major overhaul. 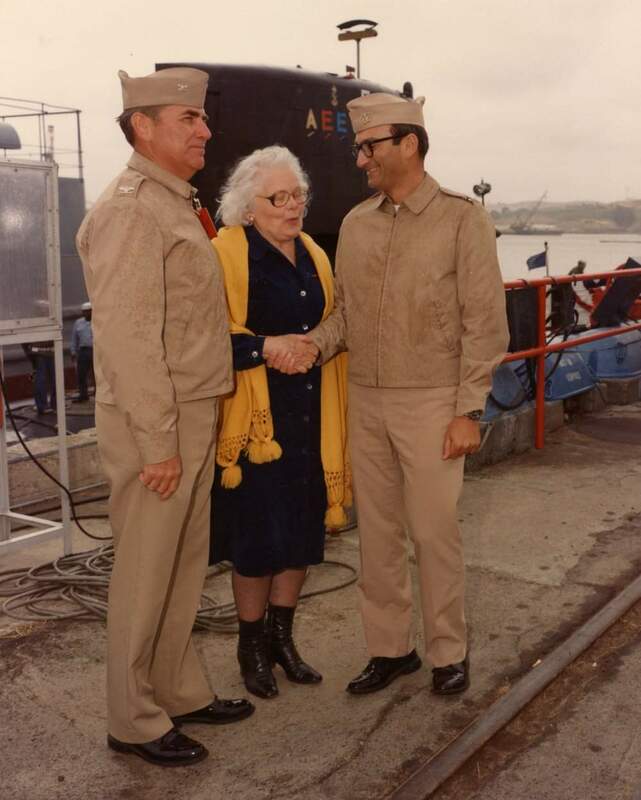 CDR B. M. Shaft, USN, Commanding Officer of Guitarro (right) shake hands with the ship's sponsor Mrs. McNay Taylor (center). Capt. 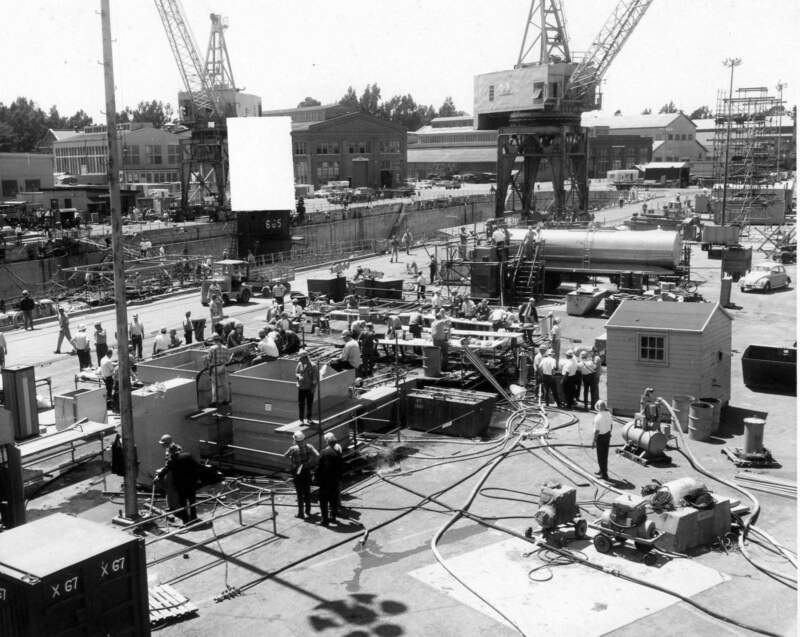 E. J. Scheyder, USN, Commander Mare Island Naval Shipyard is to the left. USN photo # MSA 262748-6-84, courtesy of Darryl L. Baker. 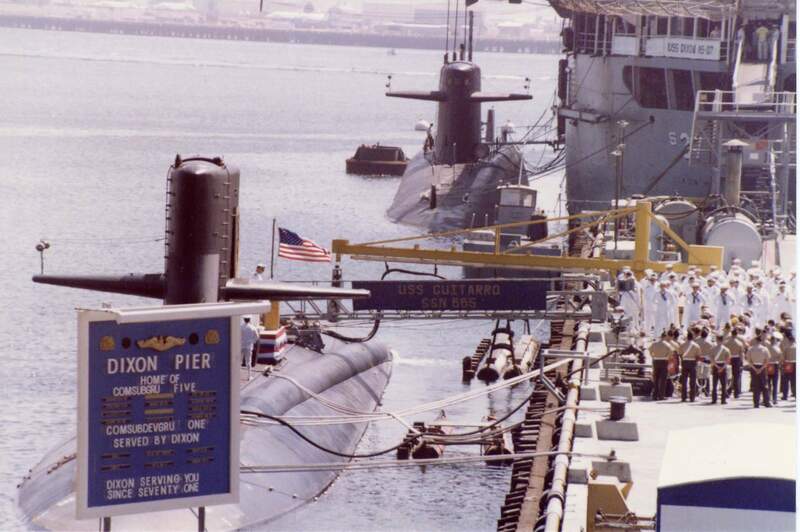 98k Readiness awards are shown on the sail of the Guitarro (SSN-665) upon her return to Mare Island for a major overhaul on 4 June 1984. USN photo # MSA 202756-6-84, courtesy of Darryl L. Baker. 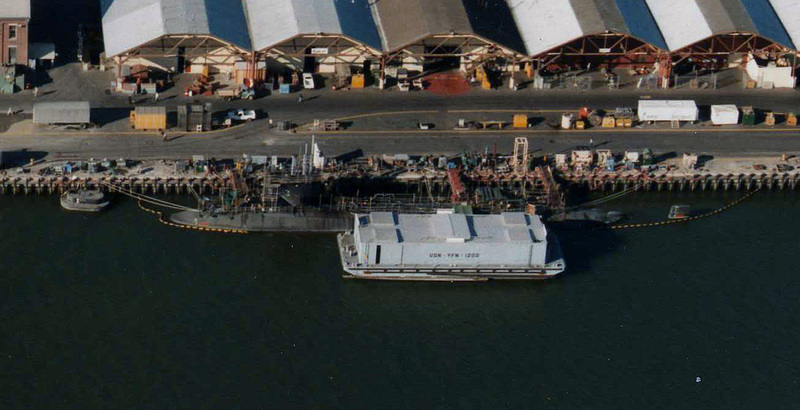 225k Guitarro (SSN-665) at her berth at Mare Island while undergoing overhaul in October 1985. YFN-1200 is alongside. US Navy photo # 211109, courtesy of Darryl L. Baker. 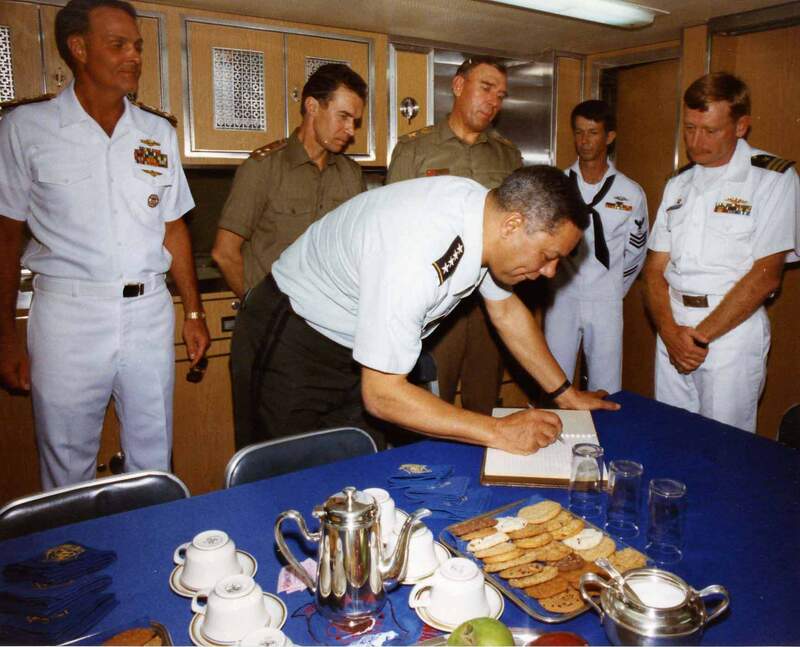 180k Gen. Colin Powell, Chairman of the Joints Chief of Staff, signs a guest book in the wardroom of the Guitarro (SSN-665) in 1990. Third officer to the right behind Gen. Powell is Gen. Mikhail Molseyev, Soviet First Deputy Minister of Defense. 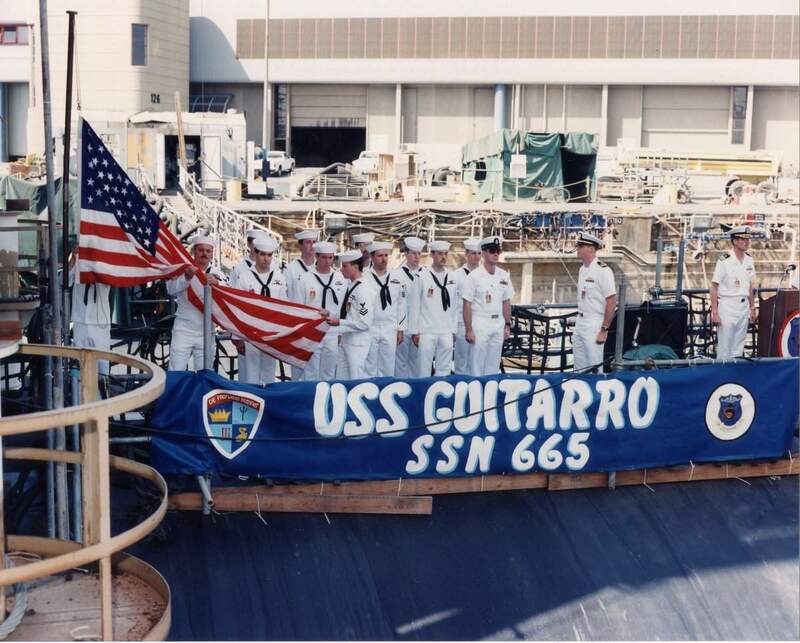 The Commanding Officer of Guitarro, CDR John F. Teply (far right) looks on. USN photo courtesy of Darryl L. Baker. 124k The submarine tender Dixon (AS-37) departs San Diego 17 September 1990 with the nuclear-powered attack submarines Guitarro (SSN-665), left, and Gurnard (SSN-662). The ships will be taking part in Exercise FallEx '90. Official US Navy photo # DN-SC-91-04869, by PH 2 Patrick W. Muscatt, from the Department of Defense Still Media Collection, courtesy of dodmedia.osd.mil. & submitted by Bill Gonyo. 208k Guitarro (SSN-665) in San Diego off Ballast Point. USN photo courtesy of Darryl L. Baker. 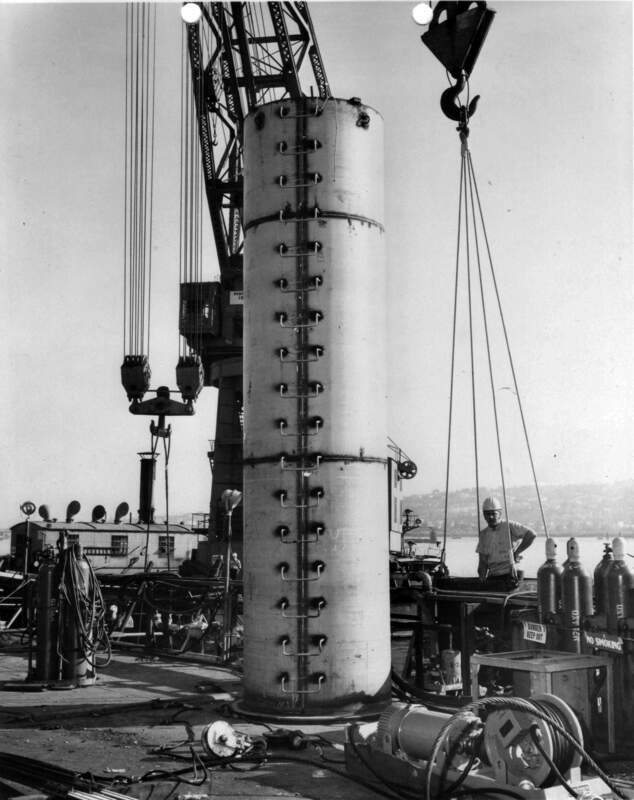 103k Guitarro (SSN-665) off the coast of San Francisco, date unknown. USN photo courtesy of Darryl L. Baker. 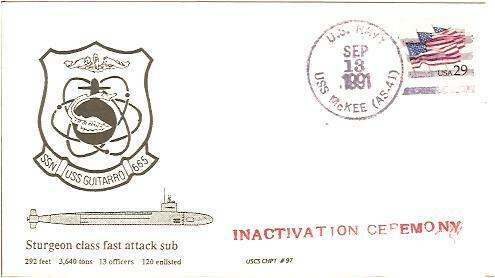 20k Commemorative post mark issued on the occasion of the Guitarro's (SSN-665) inactivation in 13 September 1991. Courtesy of Jack Treutle (of blessed memory). 227k Guitarro (SSN-665) in San Diego off Ballast Point. She is leaving San Diego for the last time heading to Mare Island for inactivation in October 1991. USN photo courtesy of Darryl L. Baker. 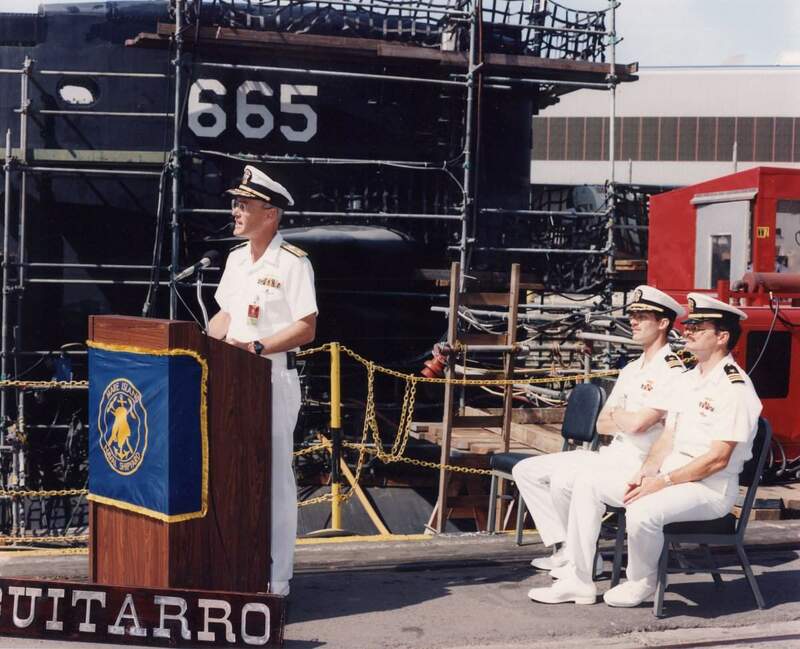 135k RADM Mike T. Coyle, USN, Commander Mare Island Naval Shipyard address the crew and civilian employees of the shipyard during the decommissioning ceremonies of the Guitarro (SSN-665) on 29 May 1992 at Mare Island. She was in dry dock 2. CDR Robert S. Brown, USN, Commanding Officer, Guitarro and LCDR Michael P. Hutter, USN, XO are shown seated (left to right). USN photo # 252917, courtesy of Darryl L. Baker. 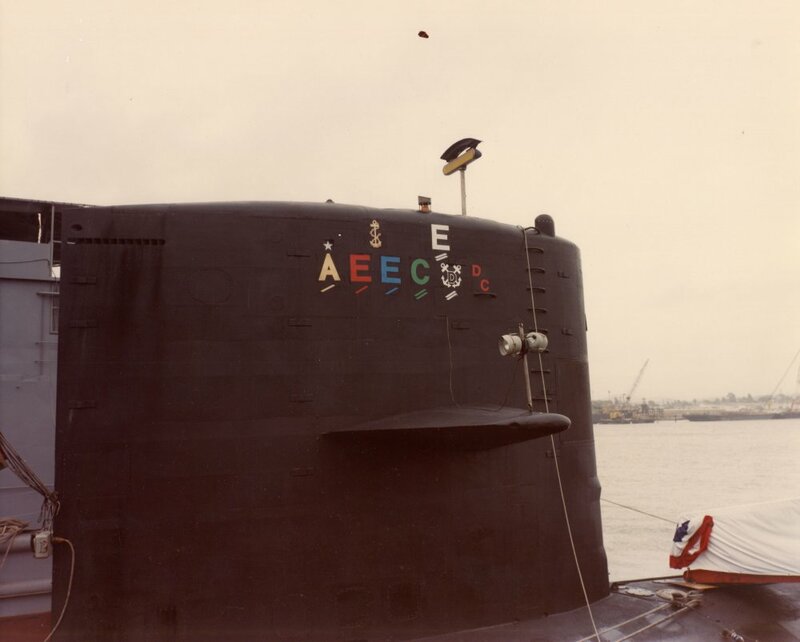 145k The colors are lowered for the last time aboard Guitarro (SSN-665) during her decommissioning at Mare Island Naval Shipyard on 29 May 1992. USN photo # 252920, courtesy of Darryl L. Baker. 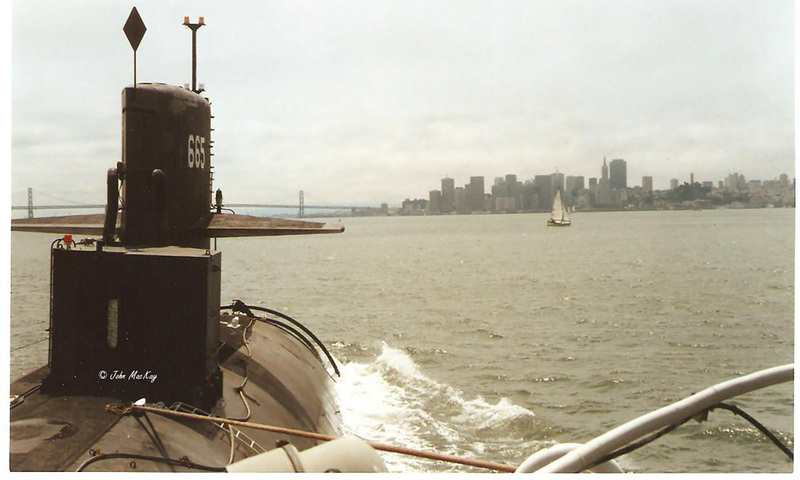 100k CDR Robert S. Brown, USN, Commanding Officer Guitarro (SSN-665) departs the ship after her decommissioning at Mare Island Naval Shipyard on 29 May 1992. USN photo courtesy of Darryl L. Baker. 81k This photo was issued by the Guitarro (SSN-665) and the Mare Island Project Team to mark the inactivation of the ship at Mare Island. She was inactivated at the yard from 1 October 1991 until 20 July 1992. USN photo # 250837, courtesy of Darryl L. Baker. 282k Twin Towing: September 1992 Guitarro (SSN-665) & Lapon (SSN-661) being towed from Mare Island, where they had been decommissioned and defueled, to Puget Sound Naval Shipyard (PSNS) in Bremerton, Washington. 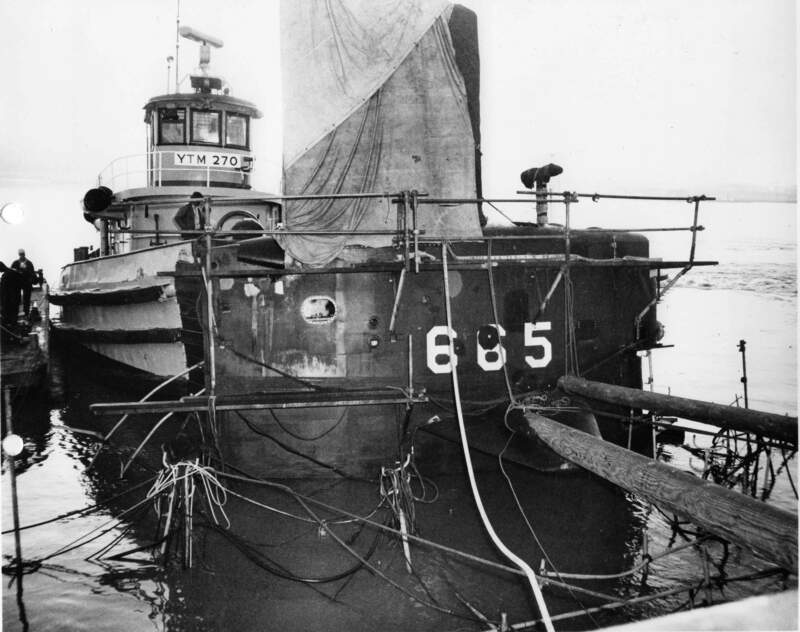 Guitarro next to a tug with Lapon in the background. 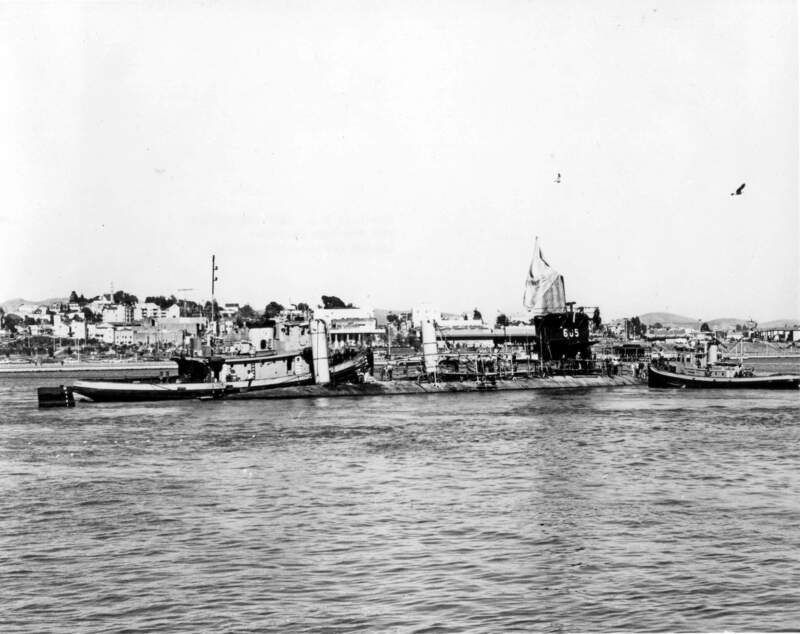 At this point, the harbor tugs were transferring Guitarro and Lapon to ocean-going tugs. Guitarro and Lapon were decommissioned at the same time and towed to PSNS at the same time. Photo courtesy of John MacKay. 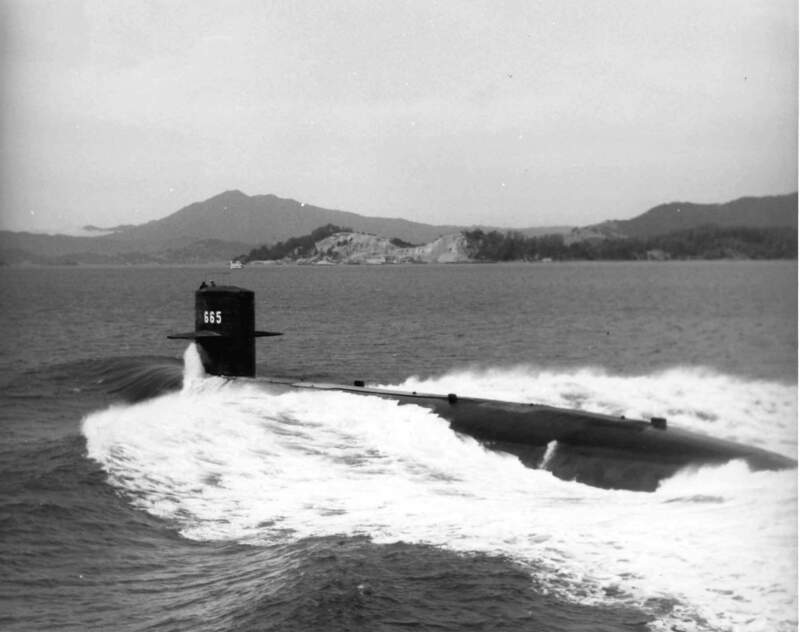 238k Guitarro (SSN-665) approaching San Francisco. Photo courtesy of John MacKay. 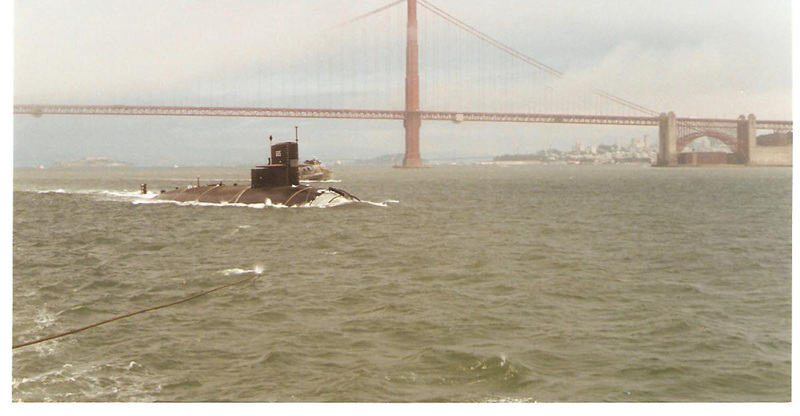 207k Guitarro (SSN-665) being towed out to sea after passing under the Golden Gate Bridge. Photo courtesy of John MacKay.